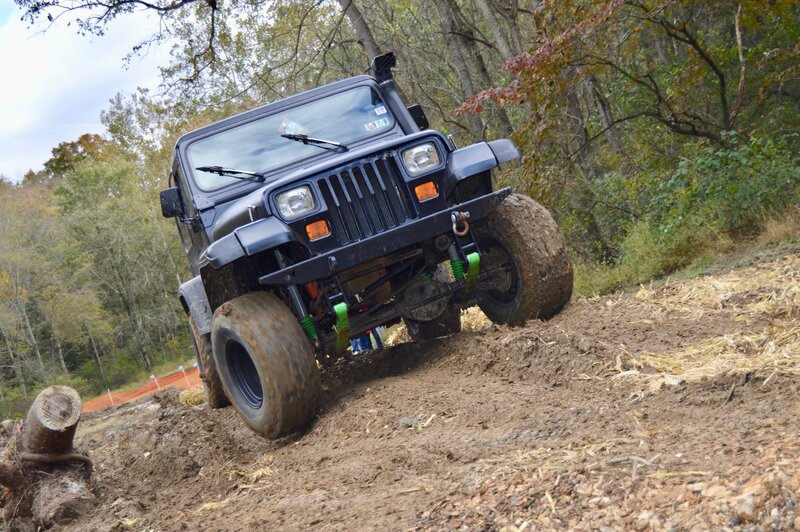 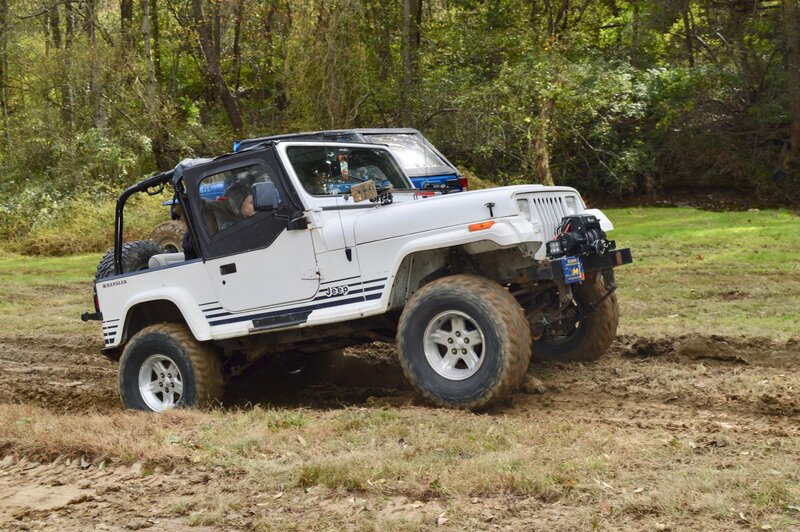 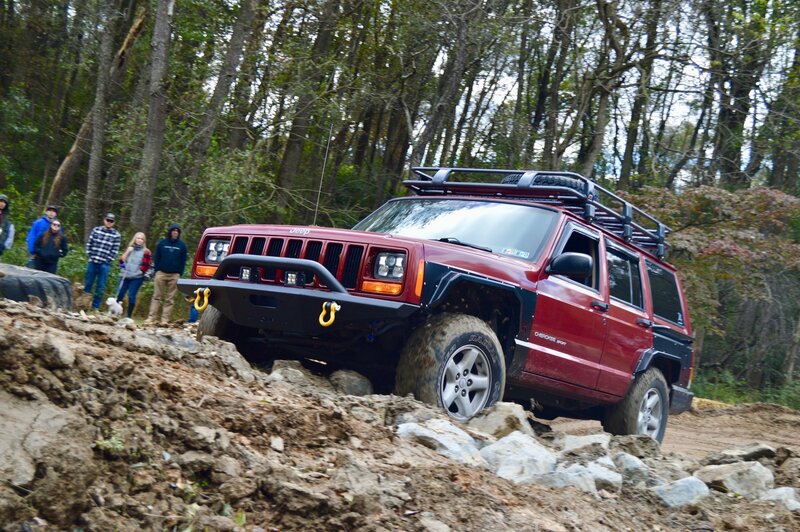 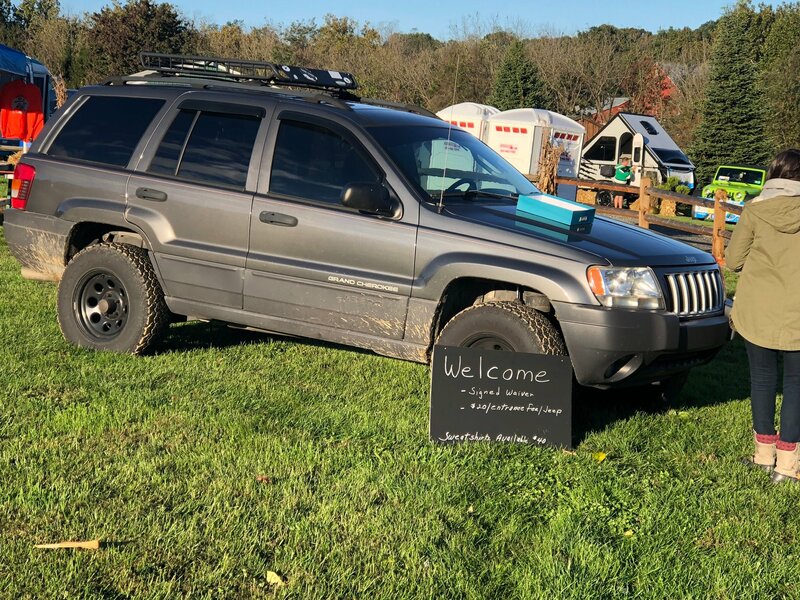 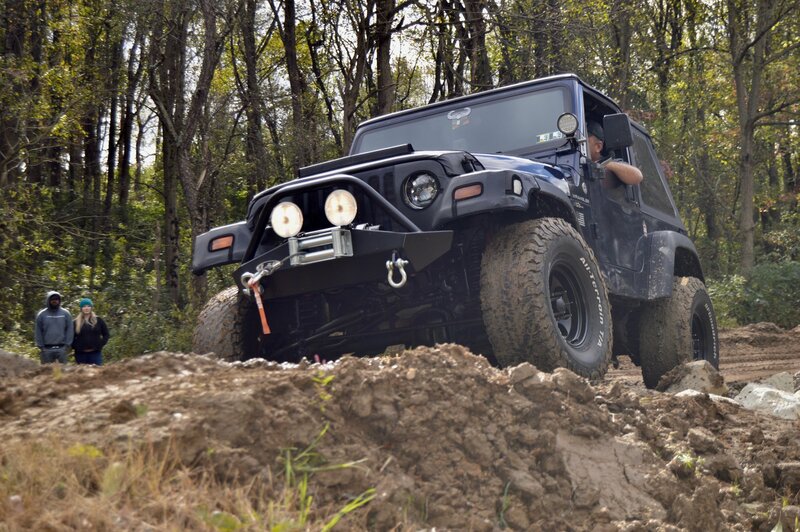 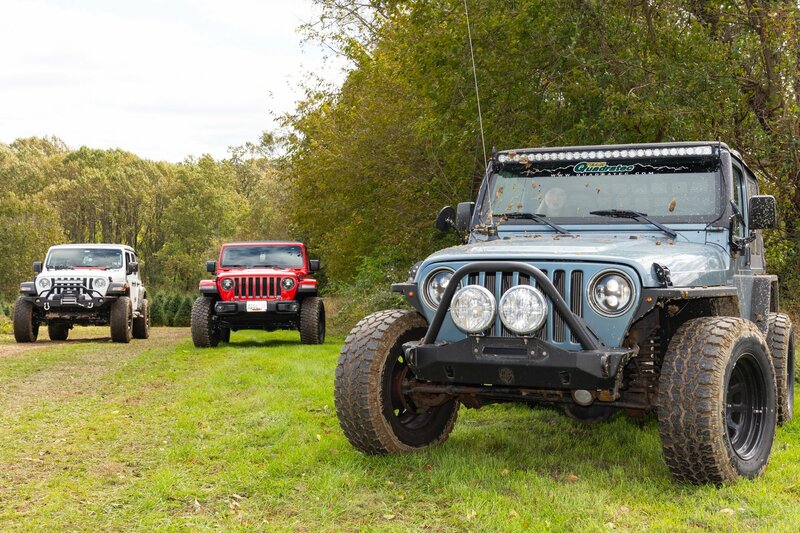 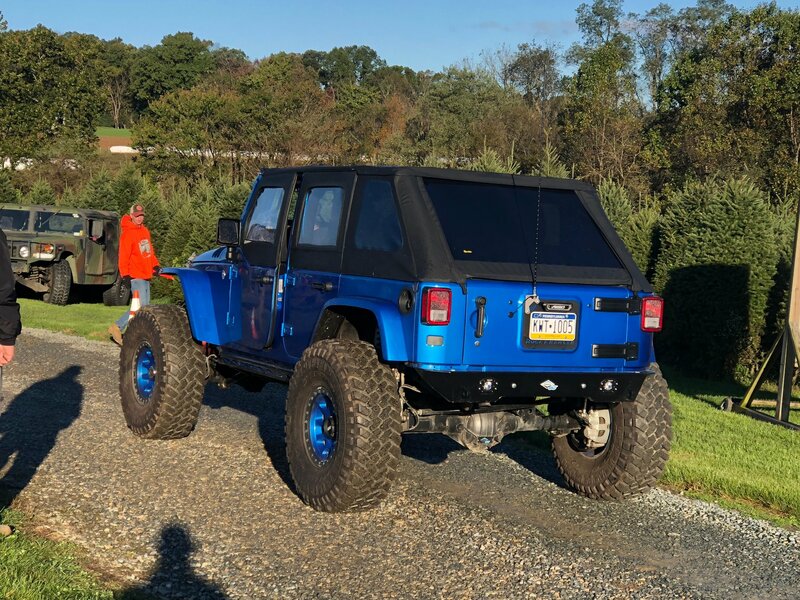 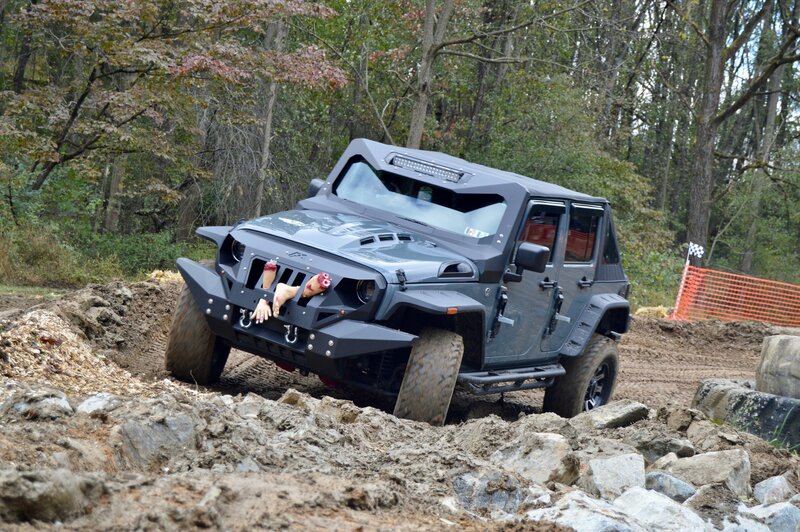 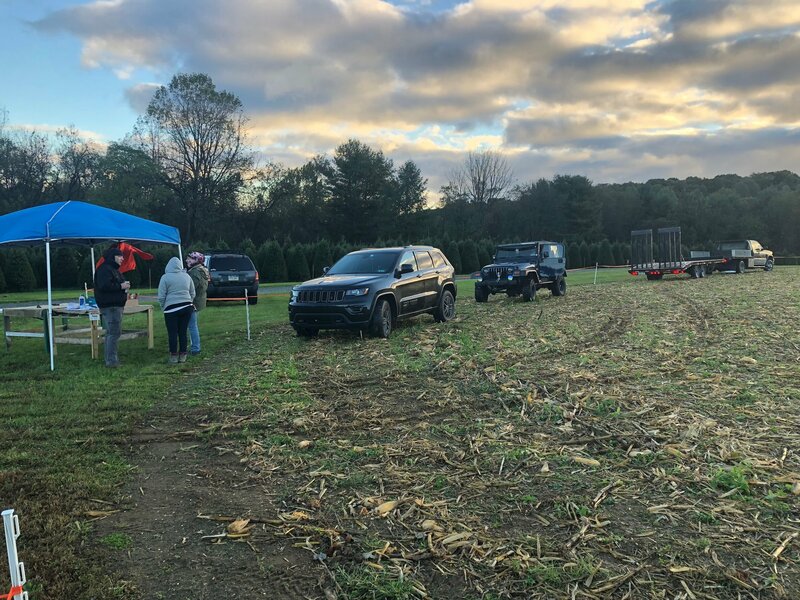 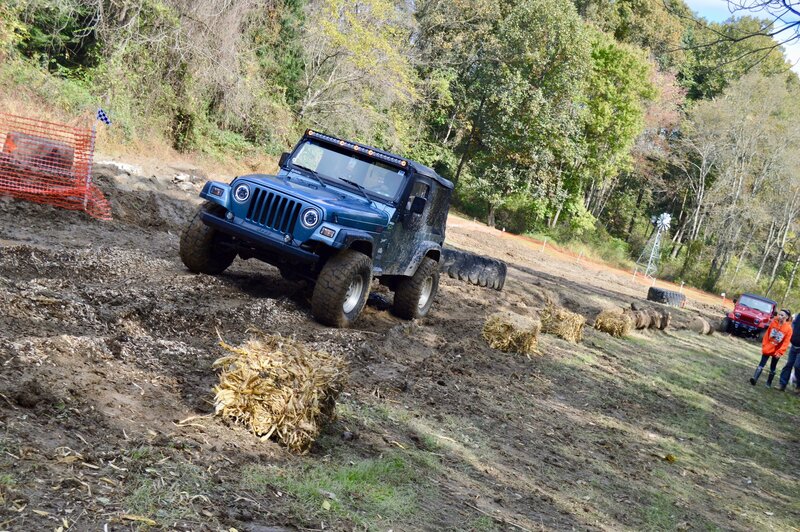 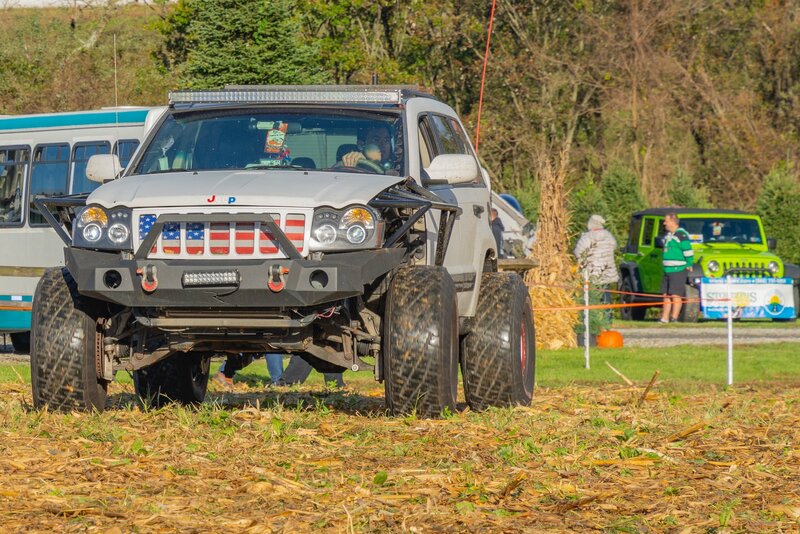 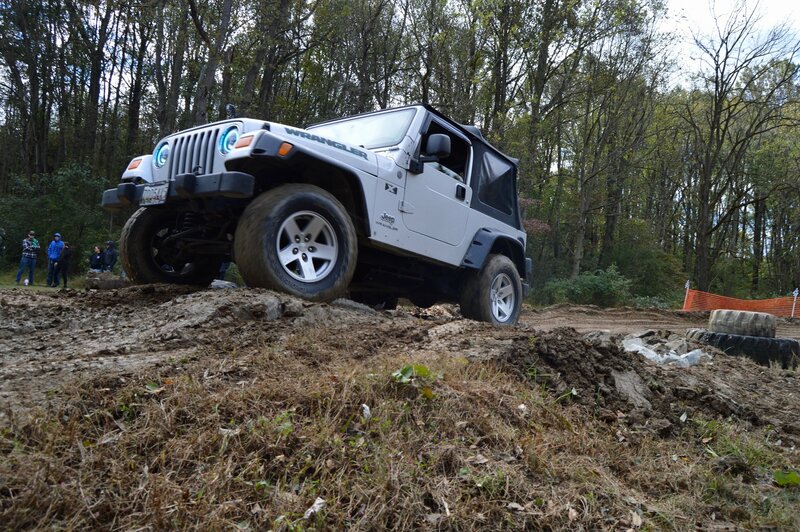 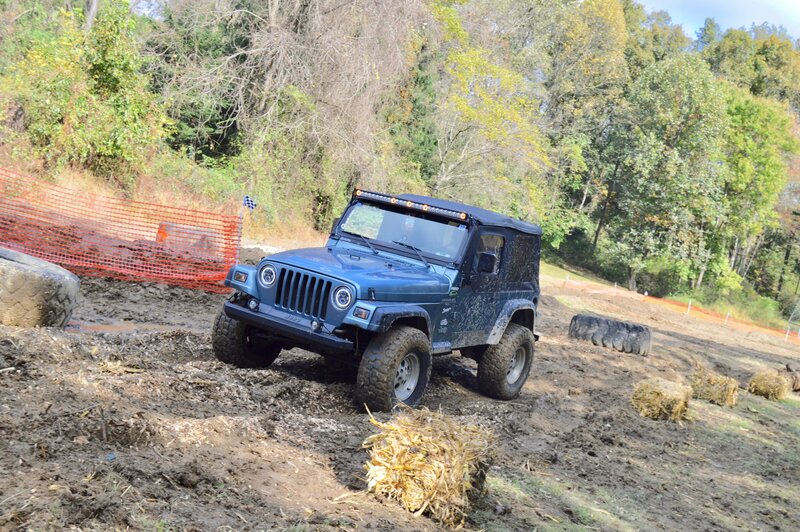 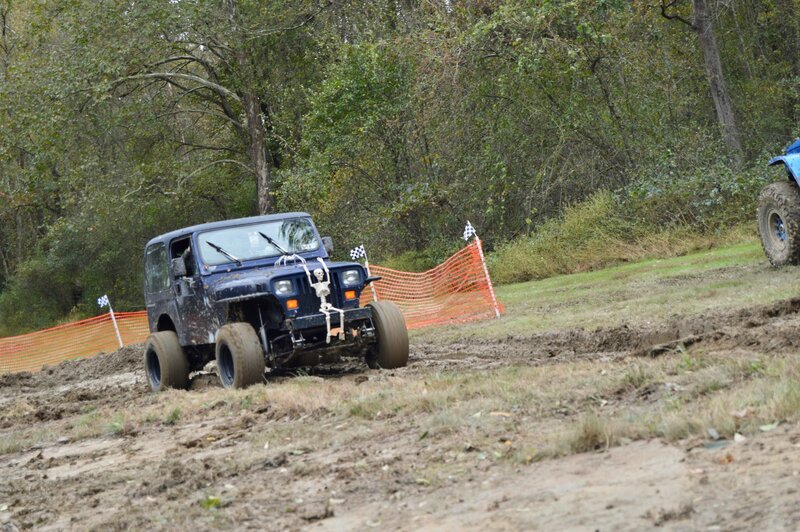 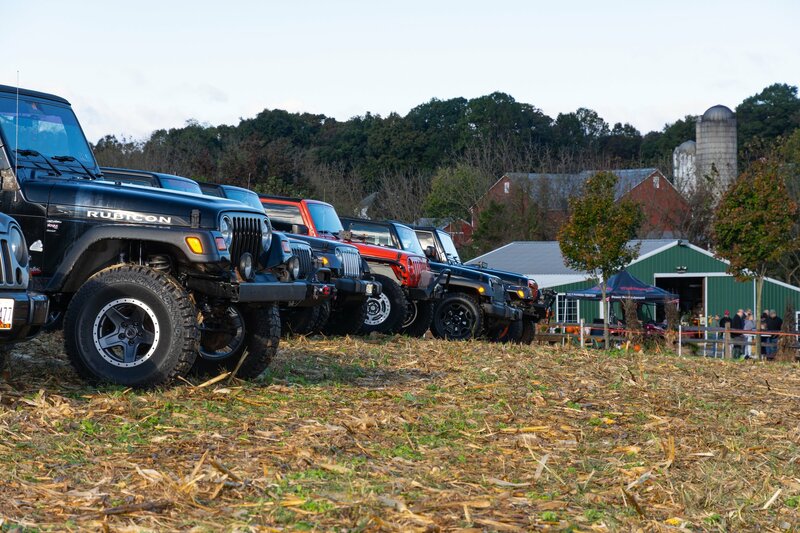 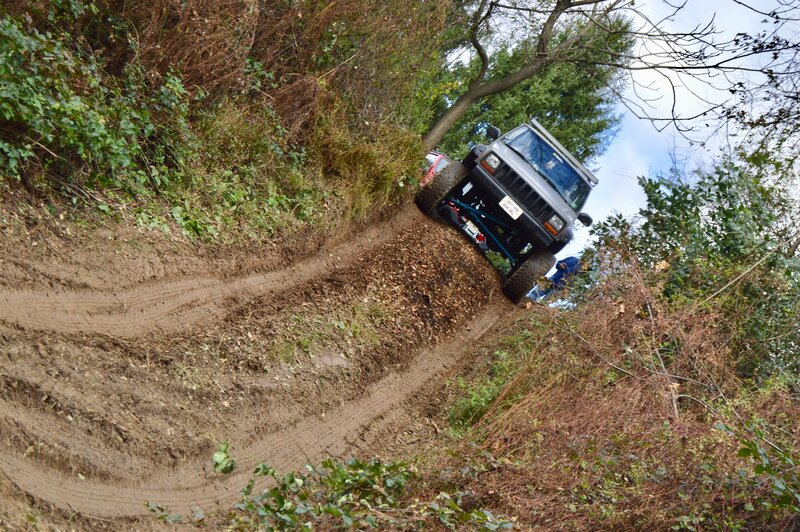 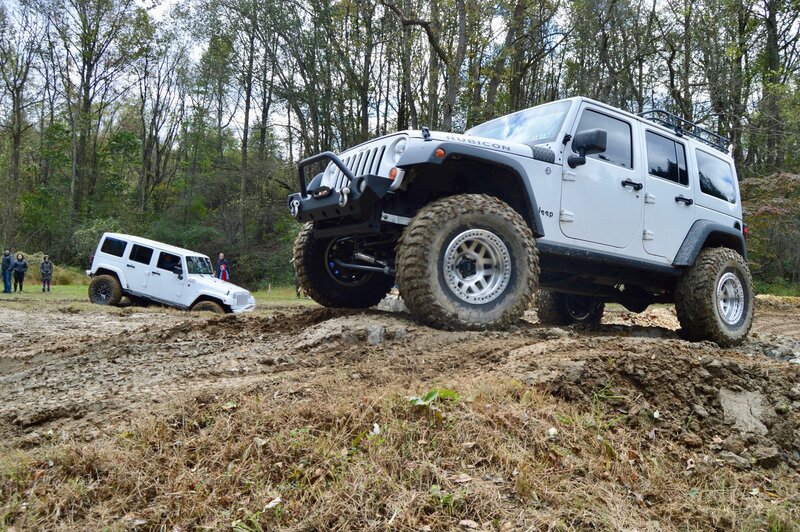 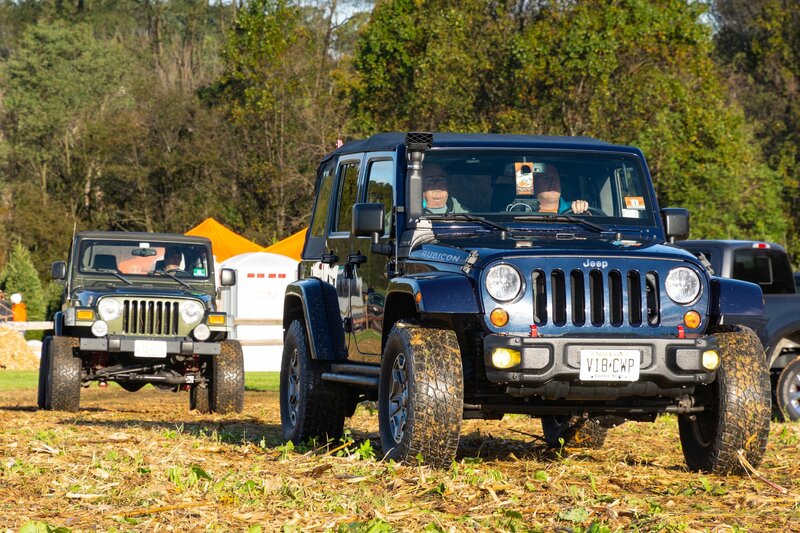 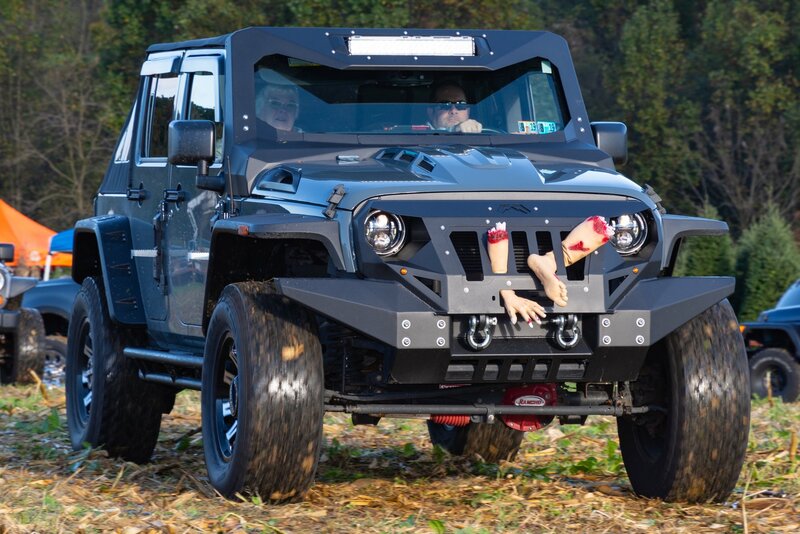 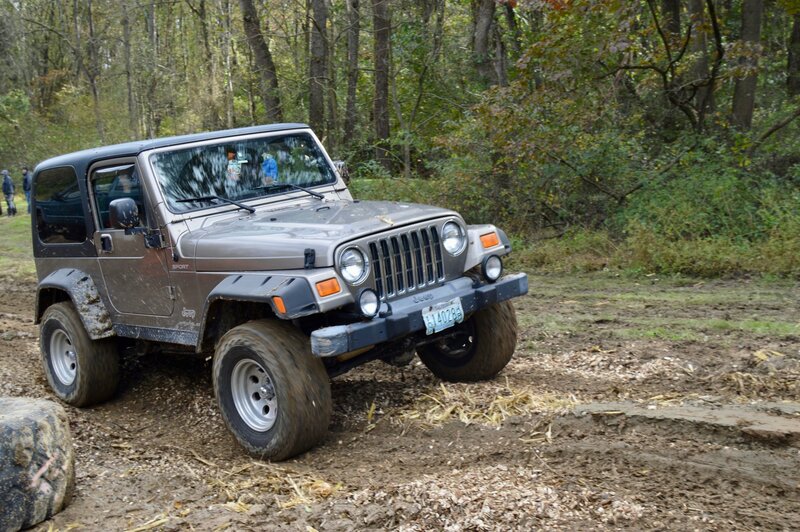 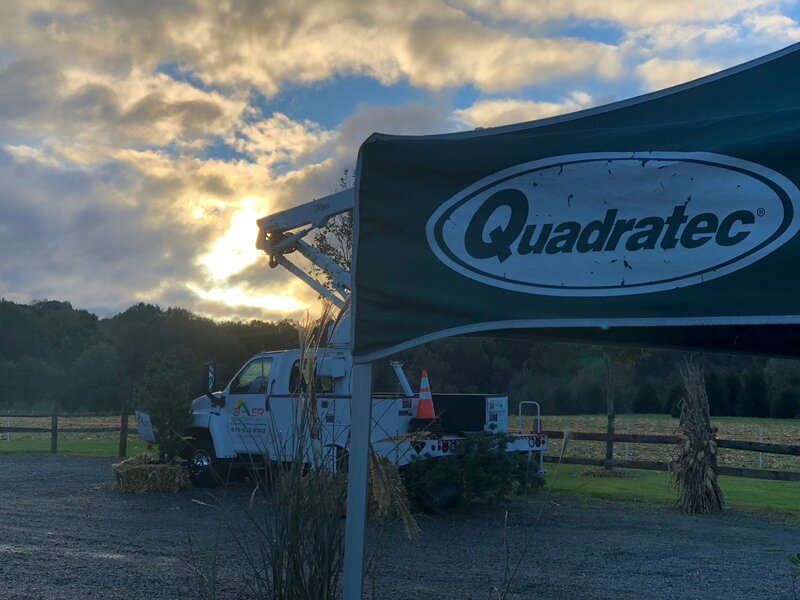 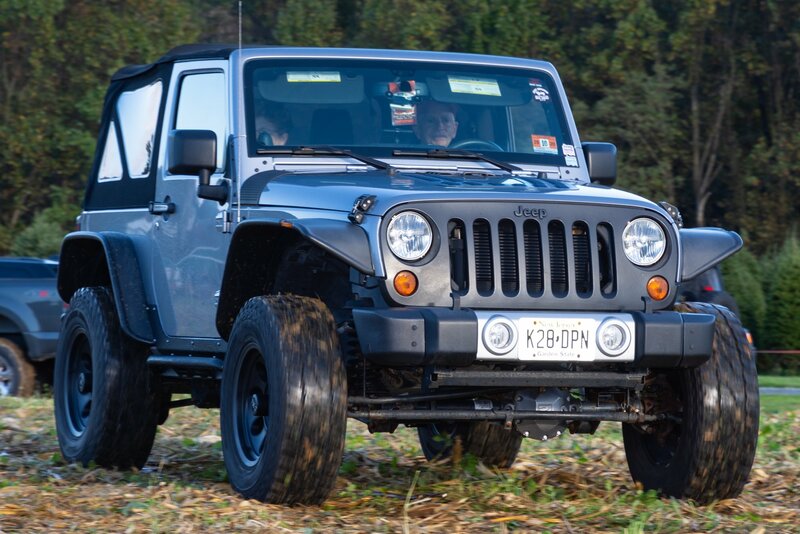 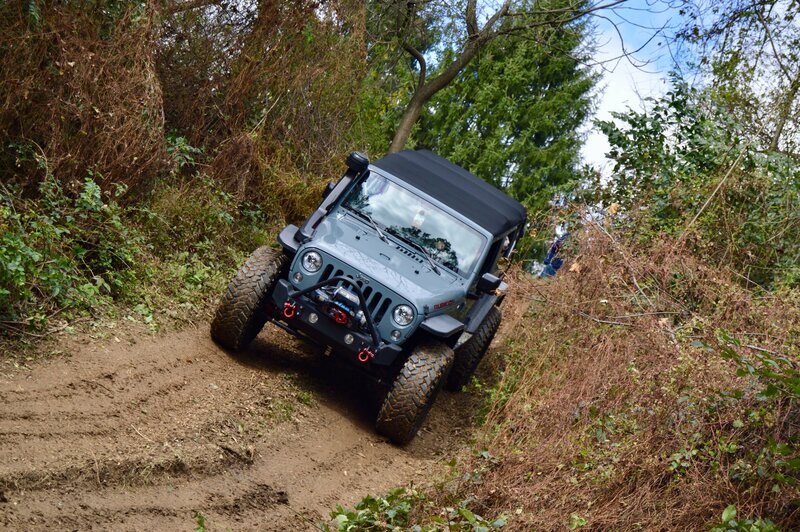 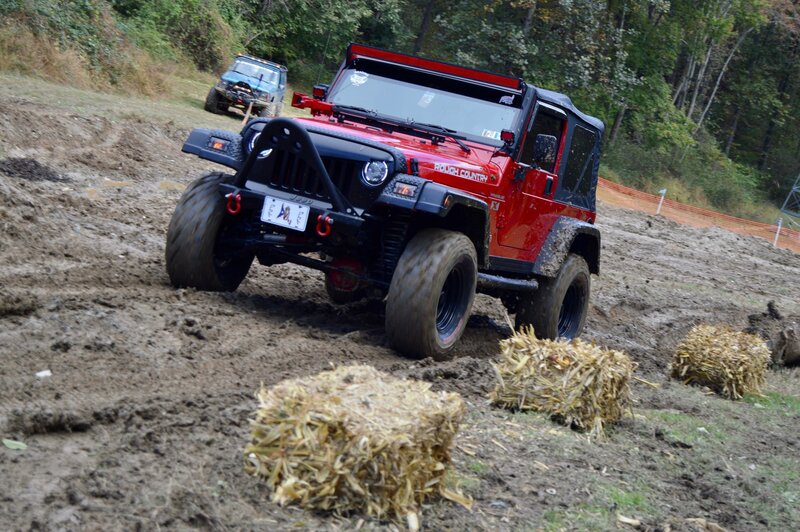 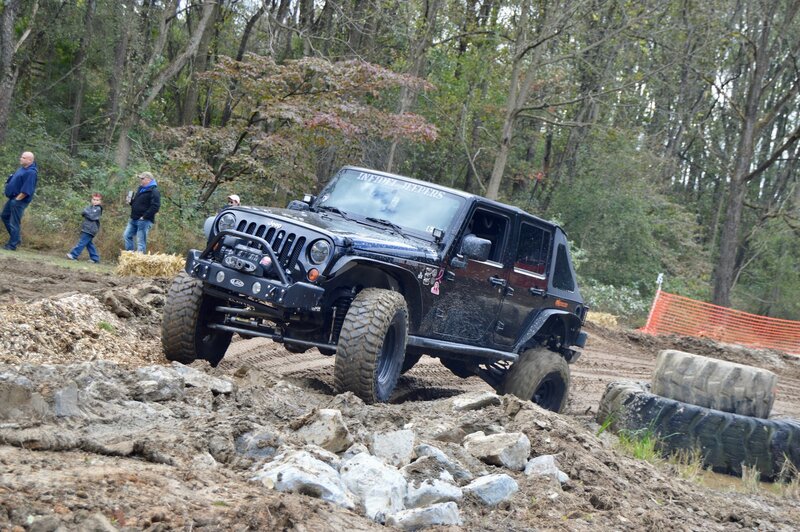 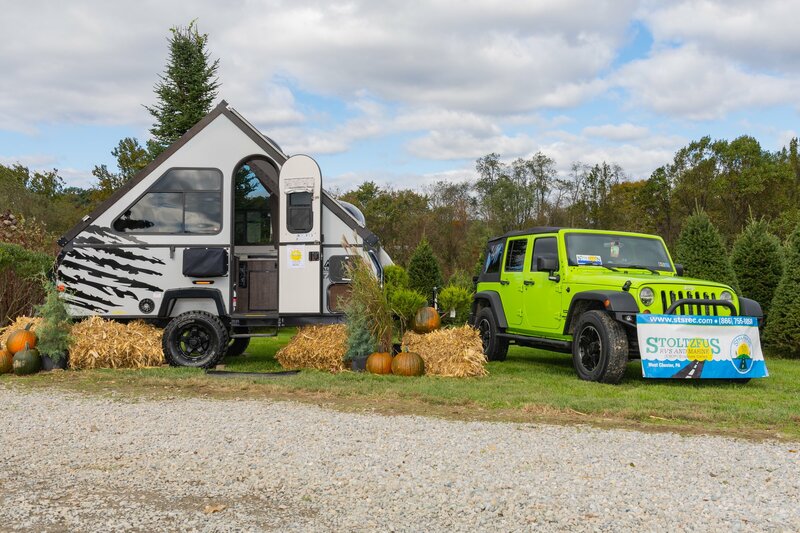 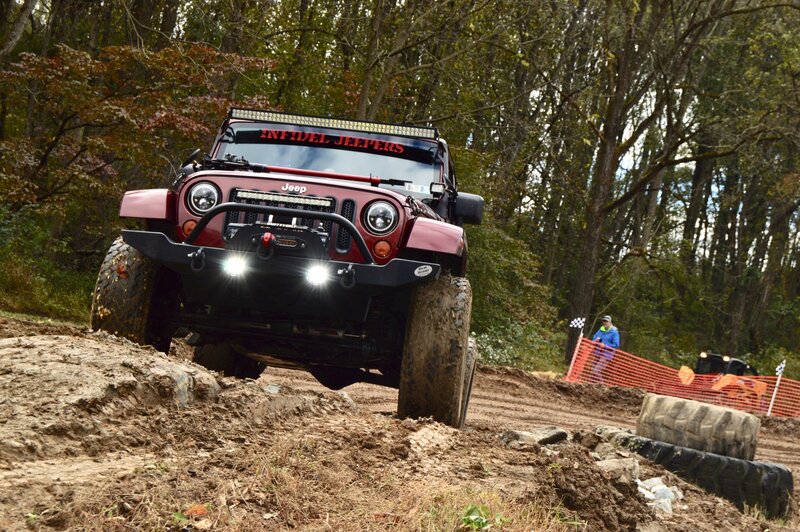 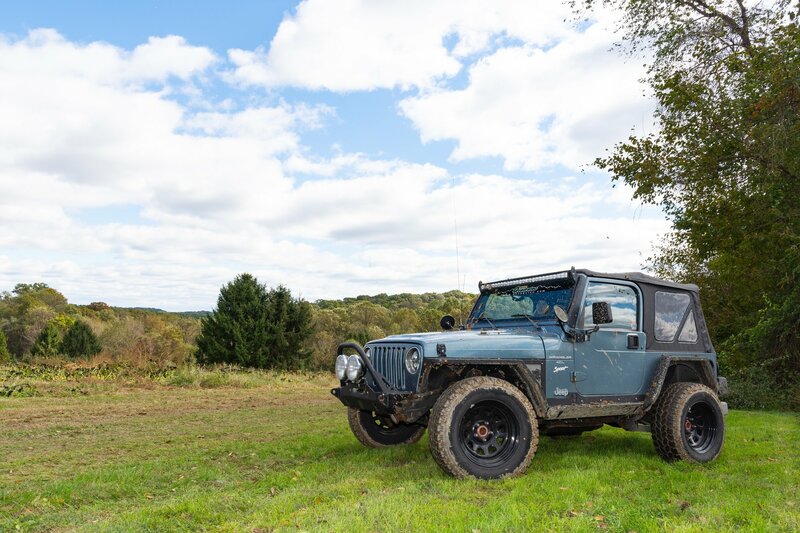 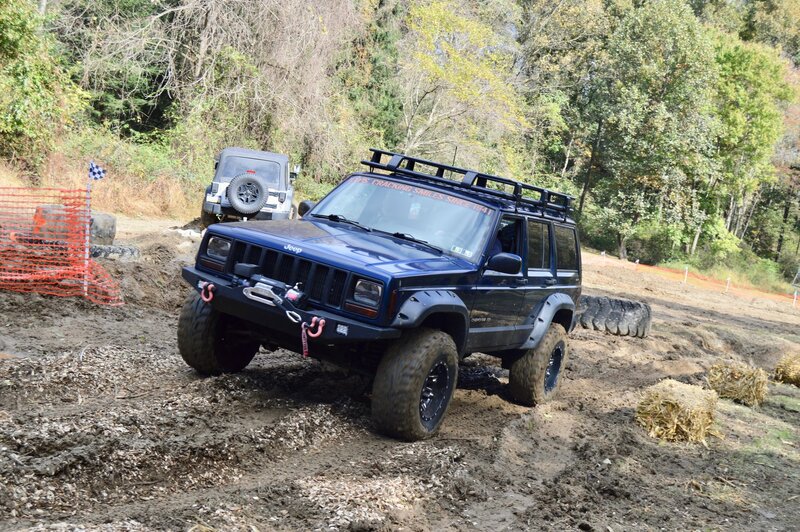 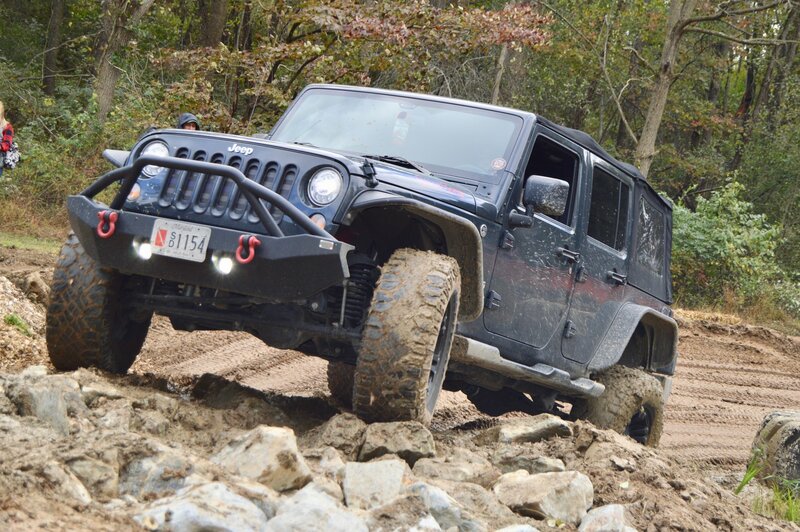 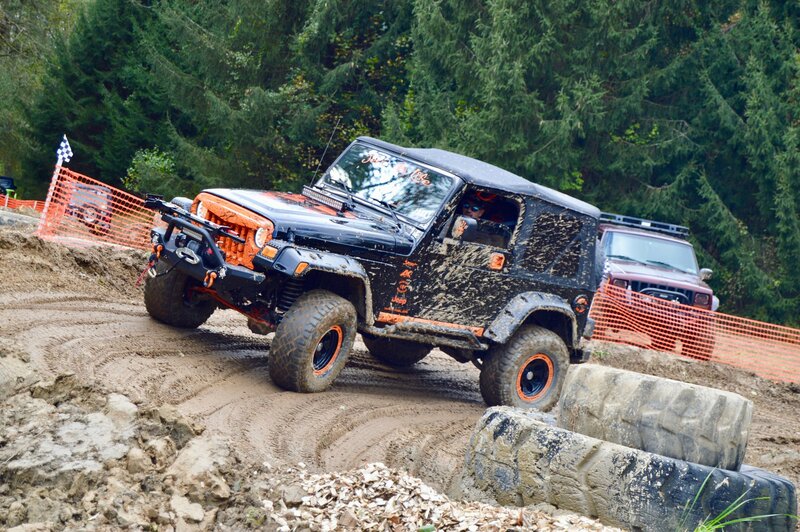 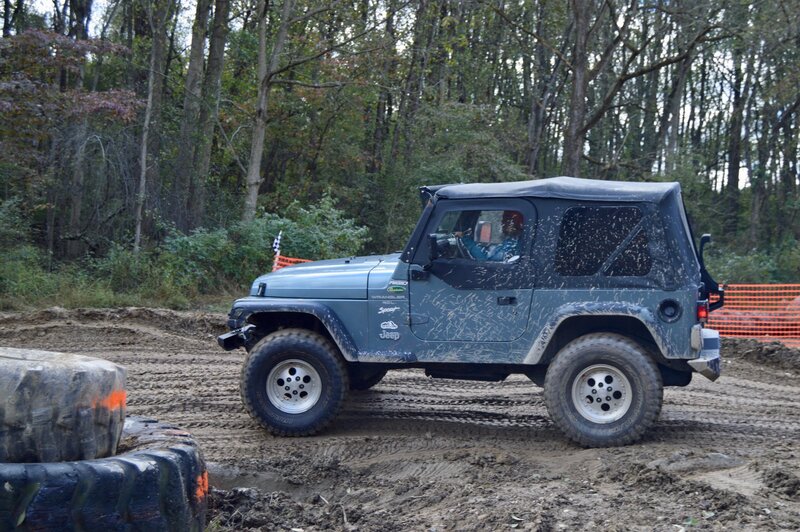 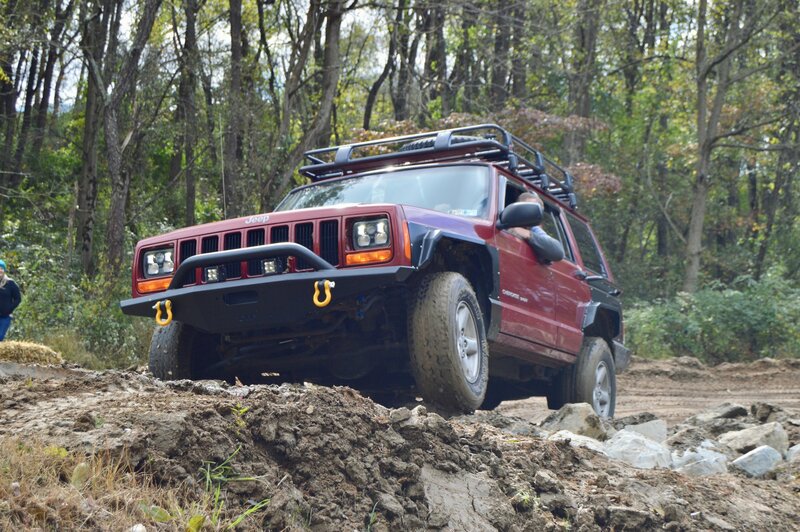 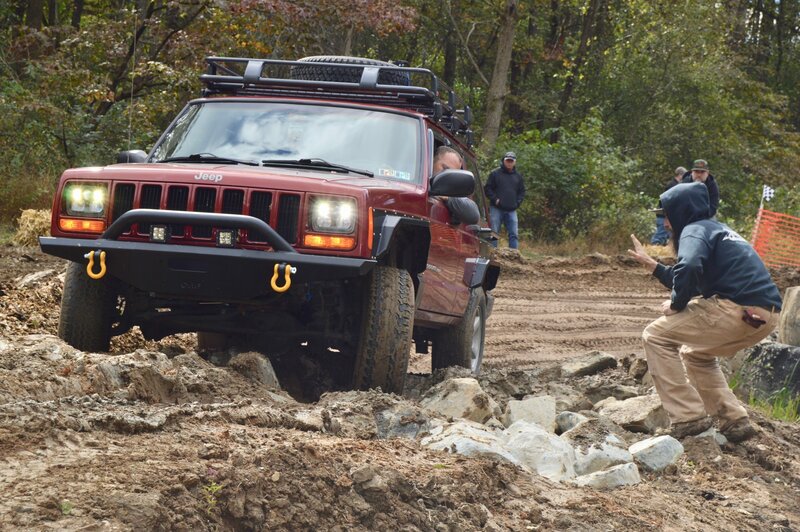 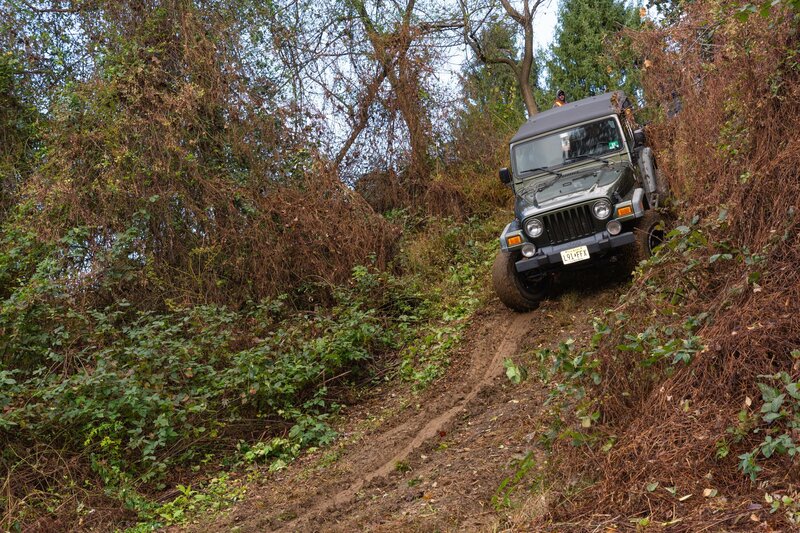 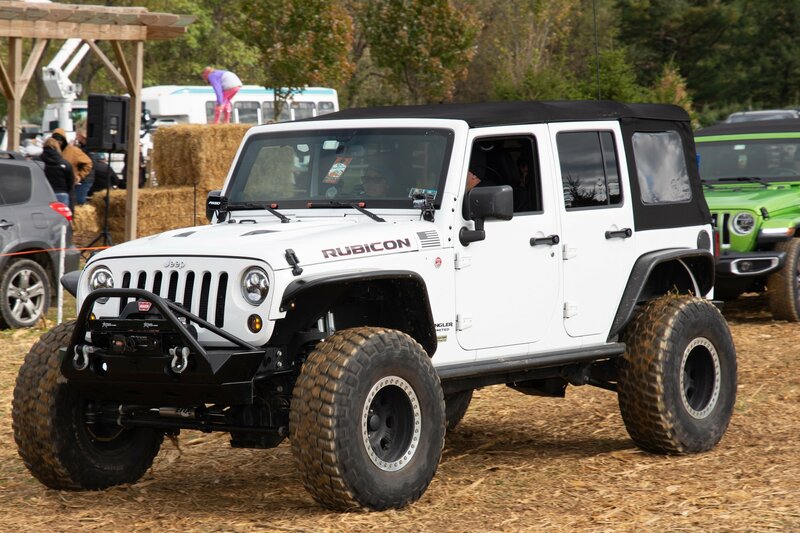 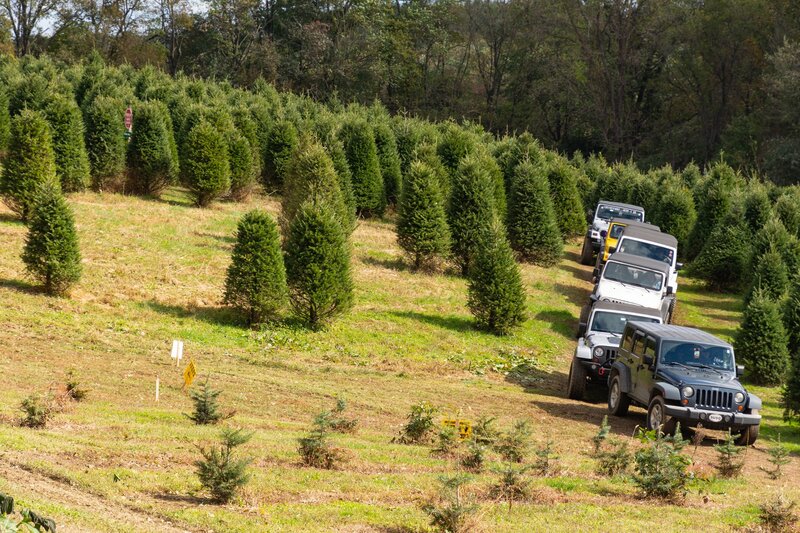 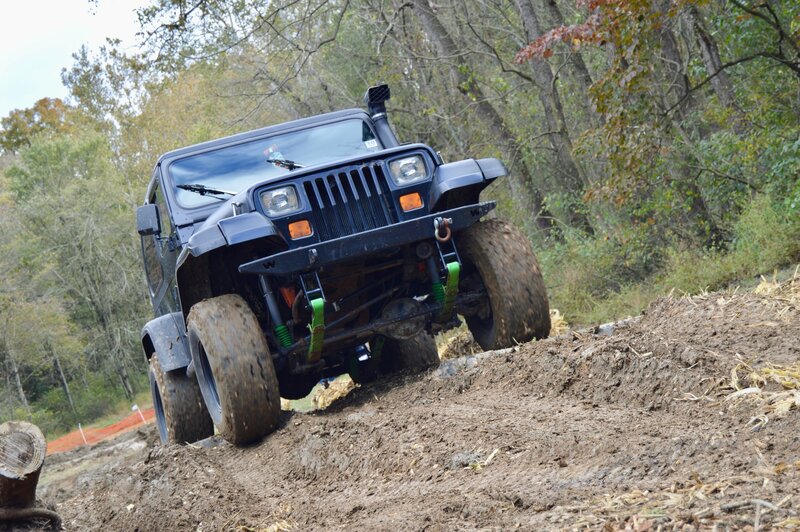 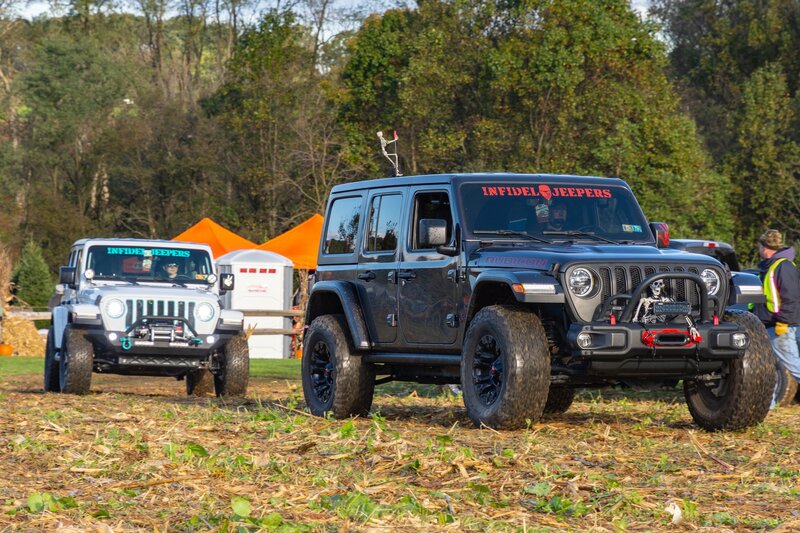 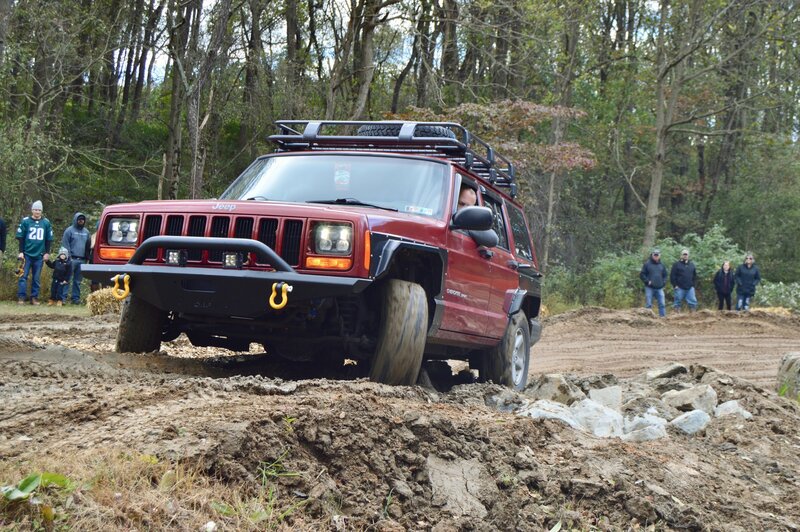 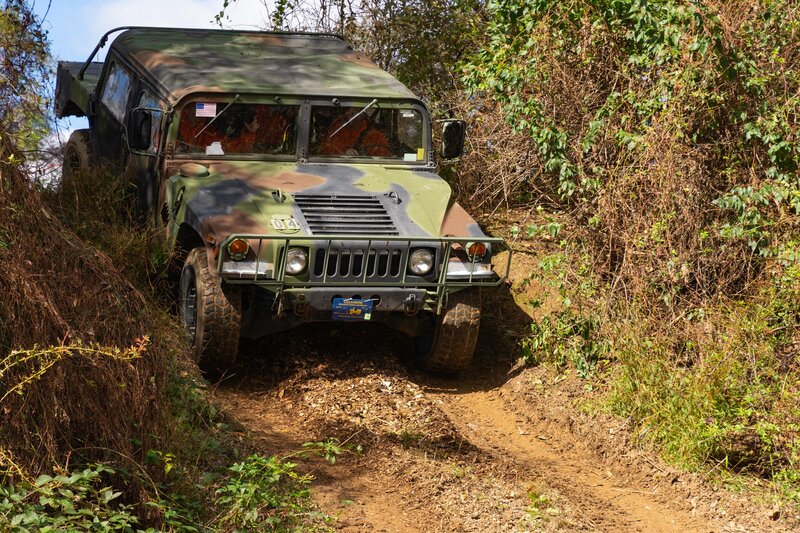 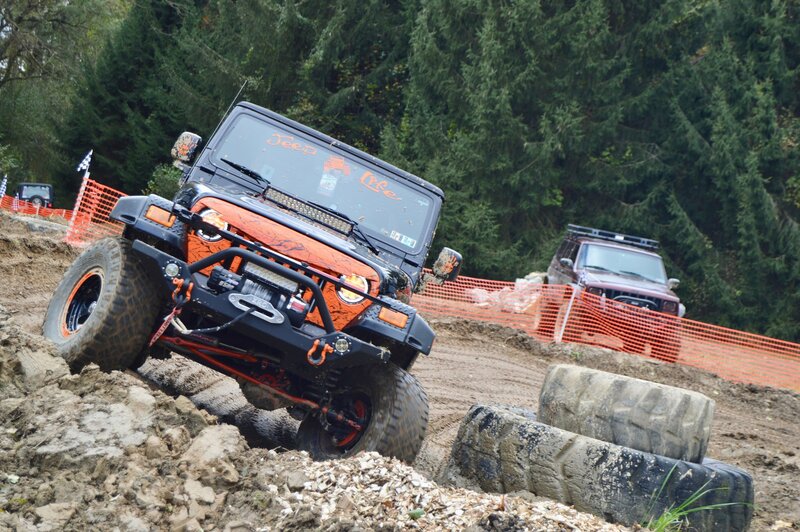 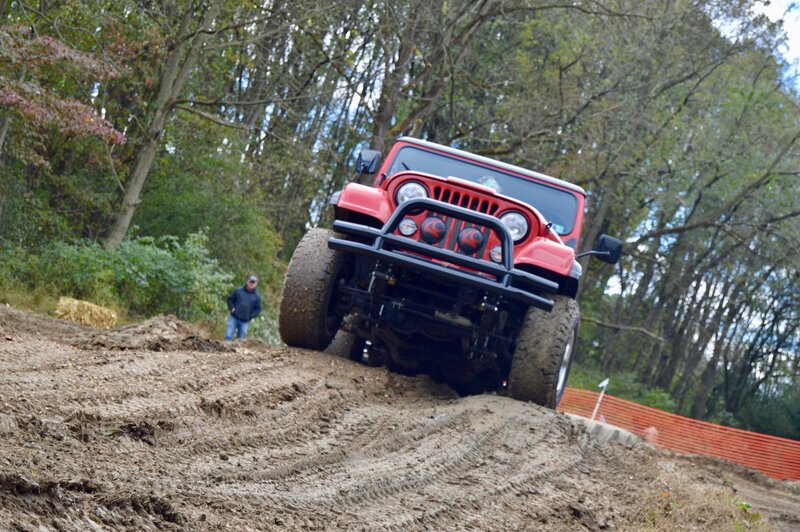 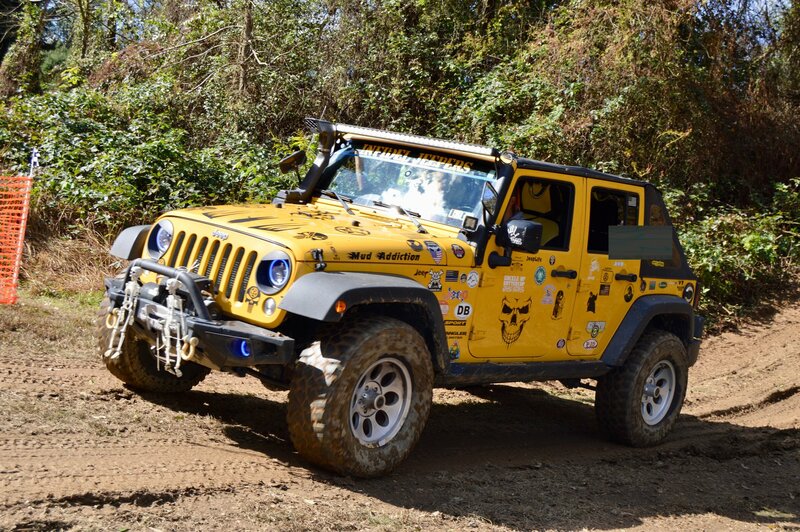 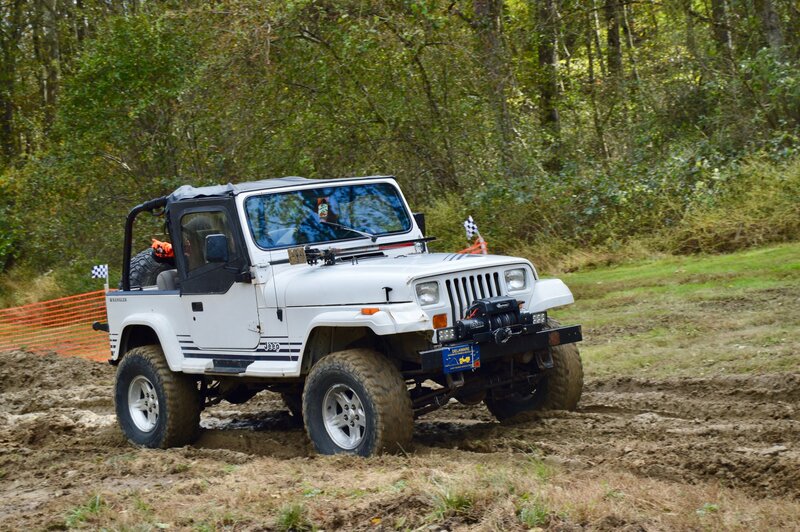 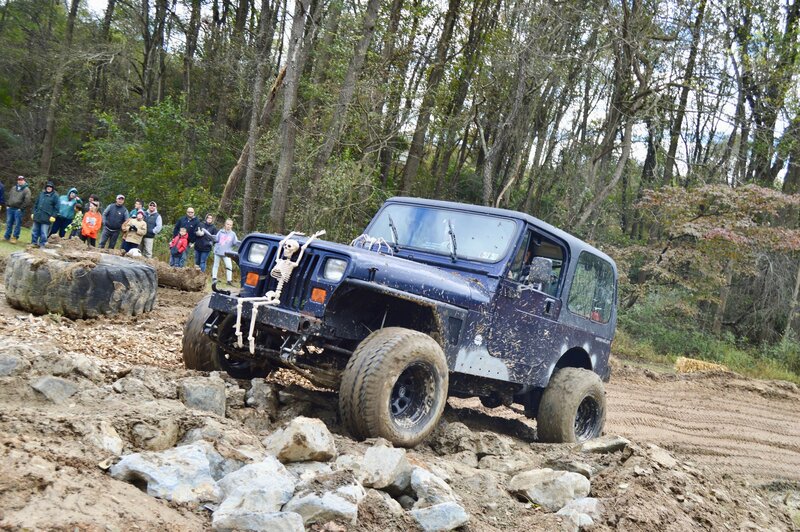 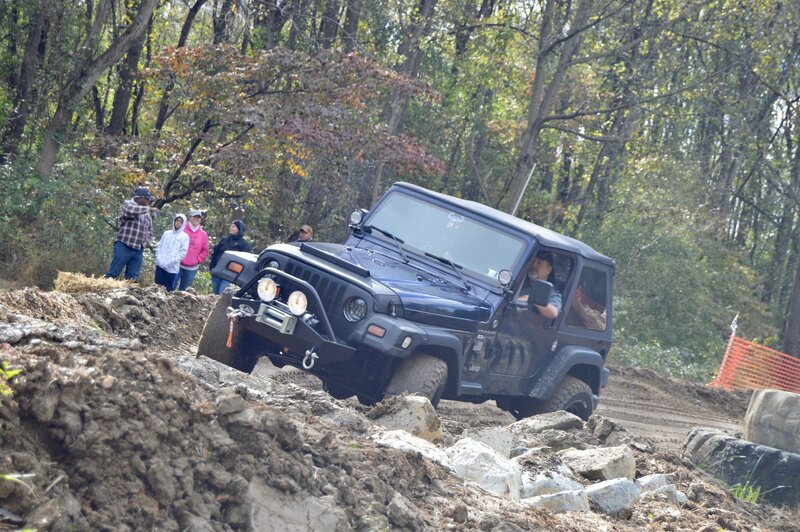 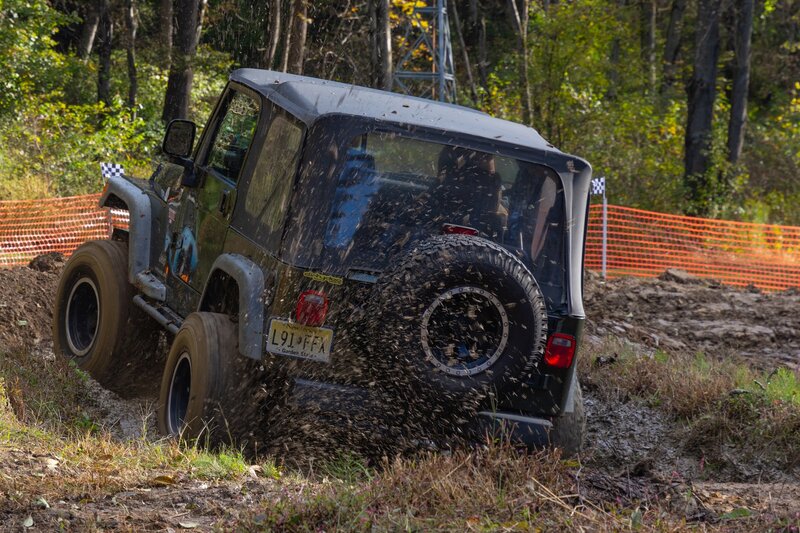 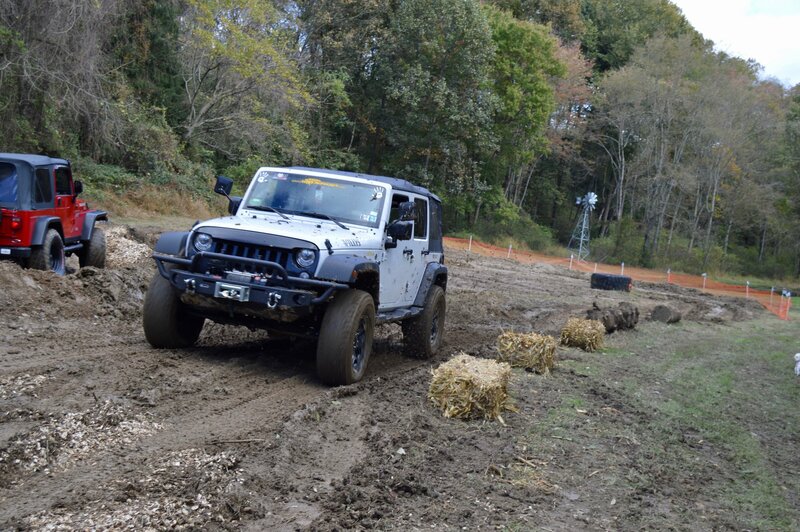 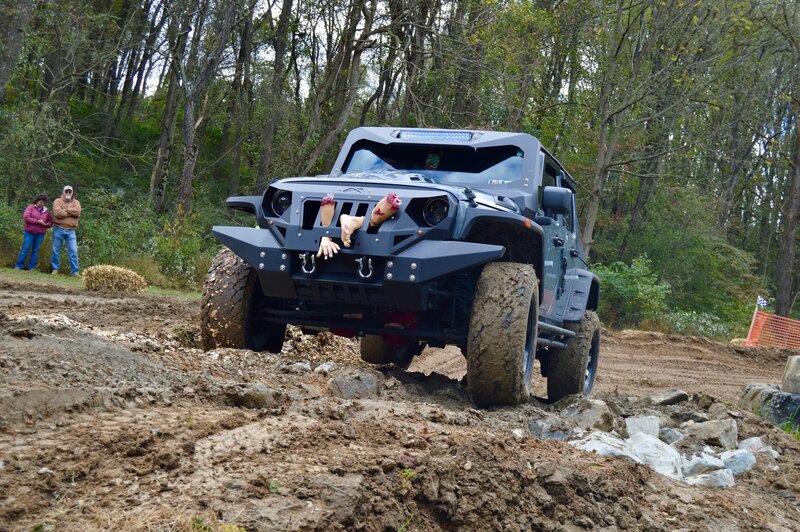 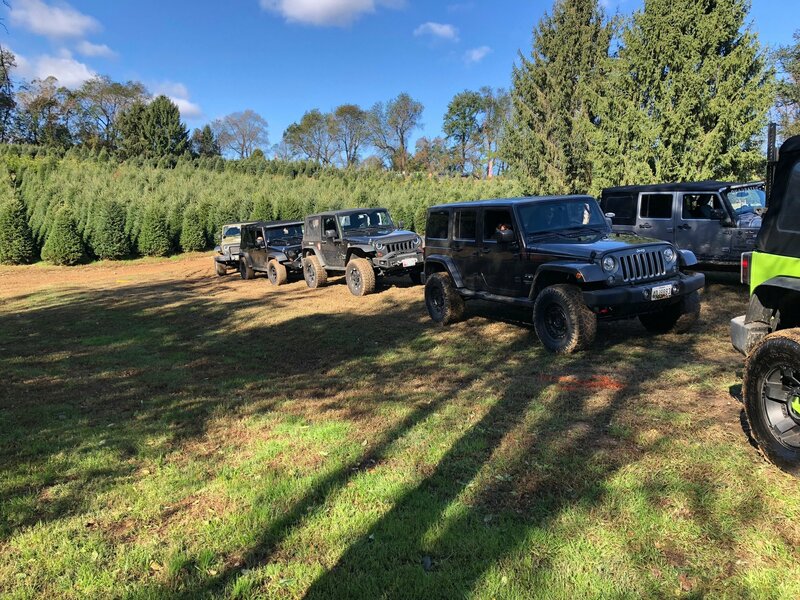 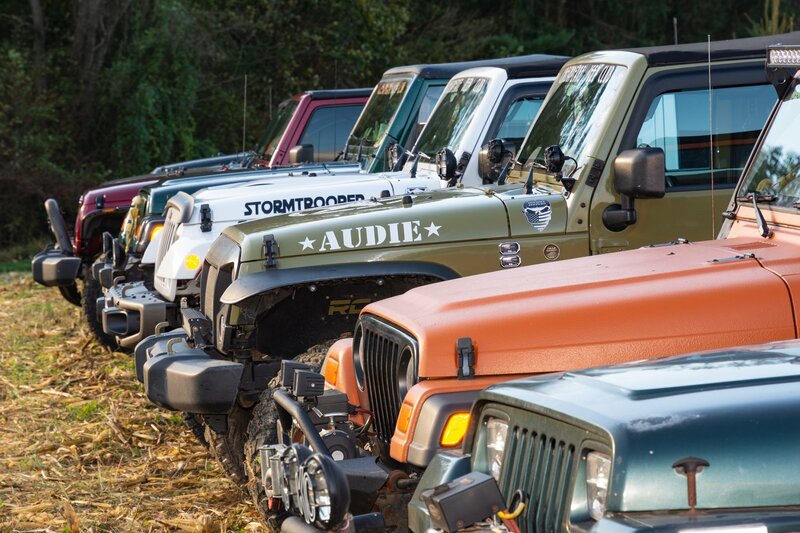 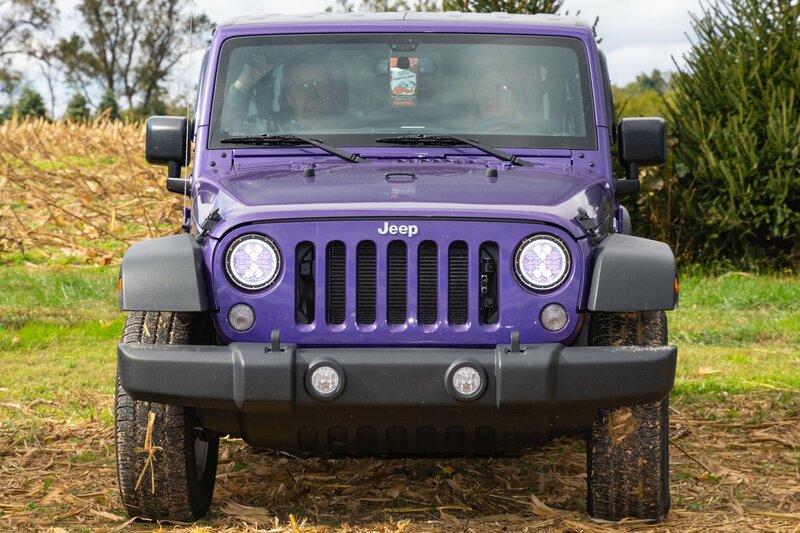 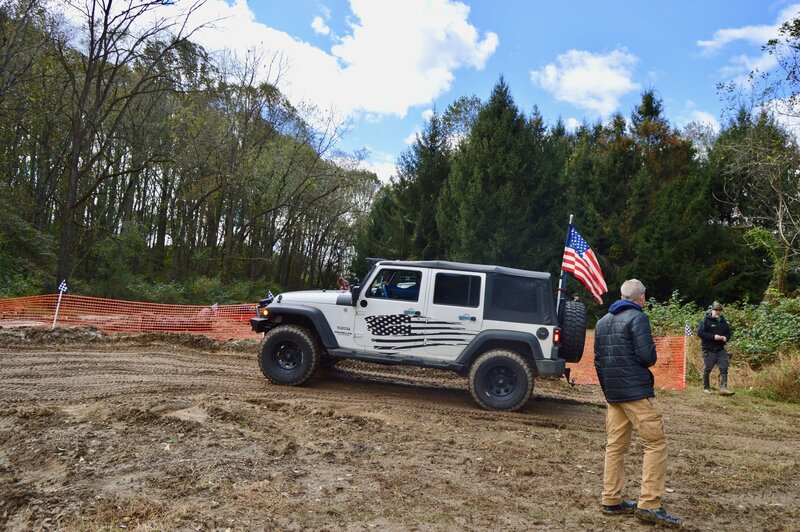 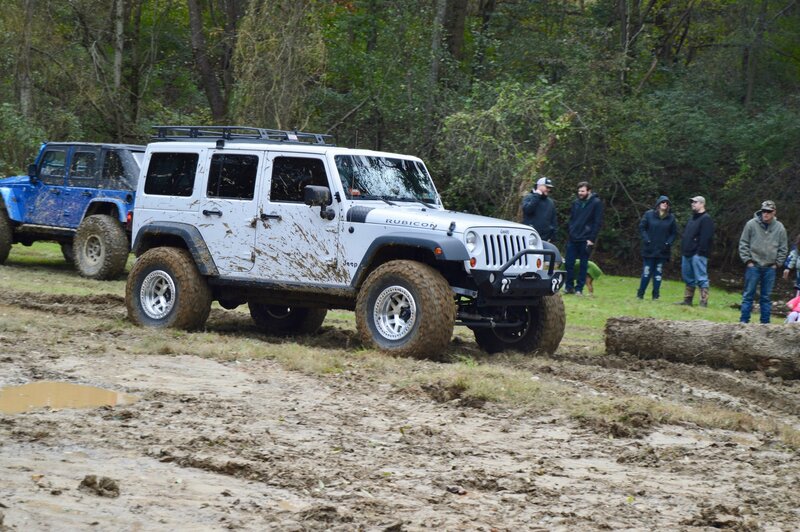 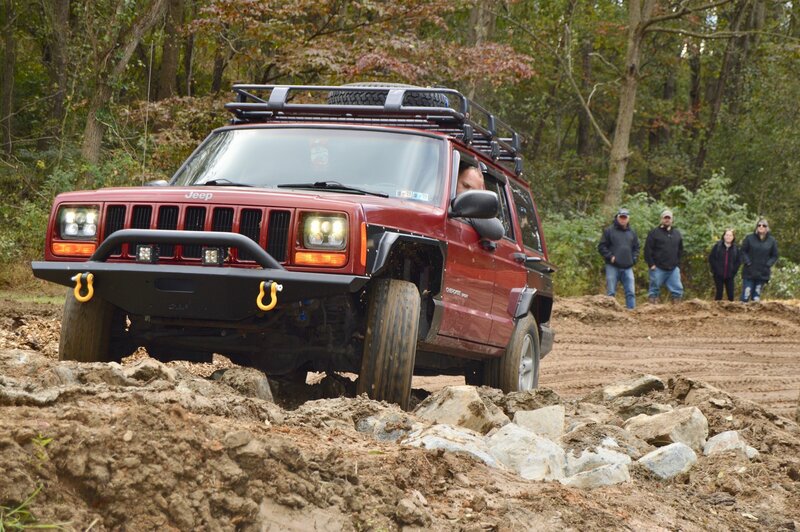 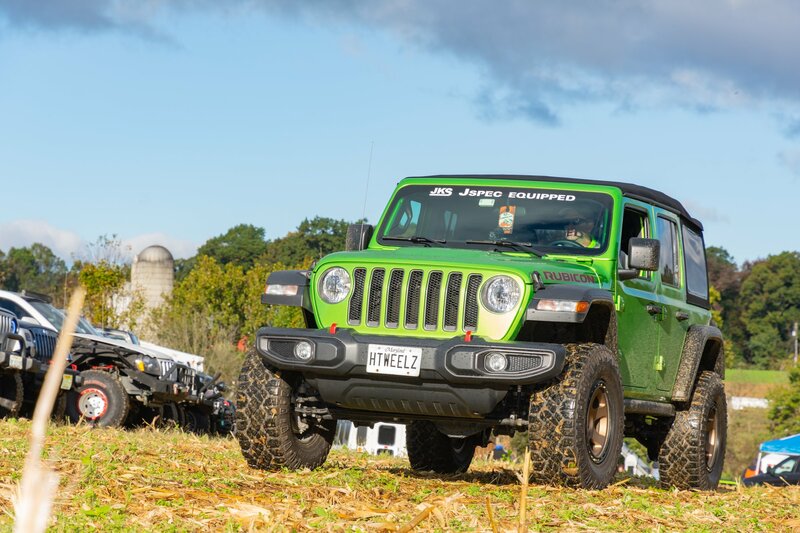 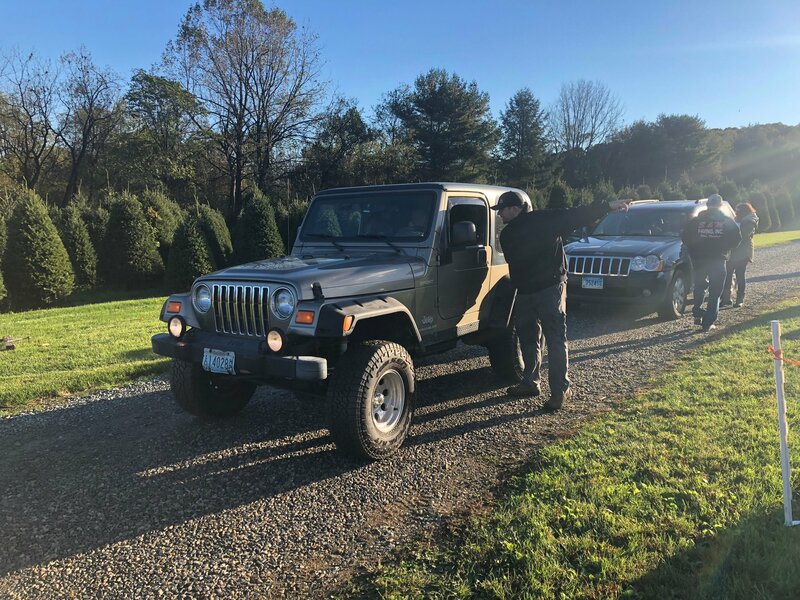 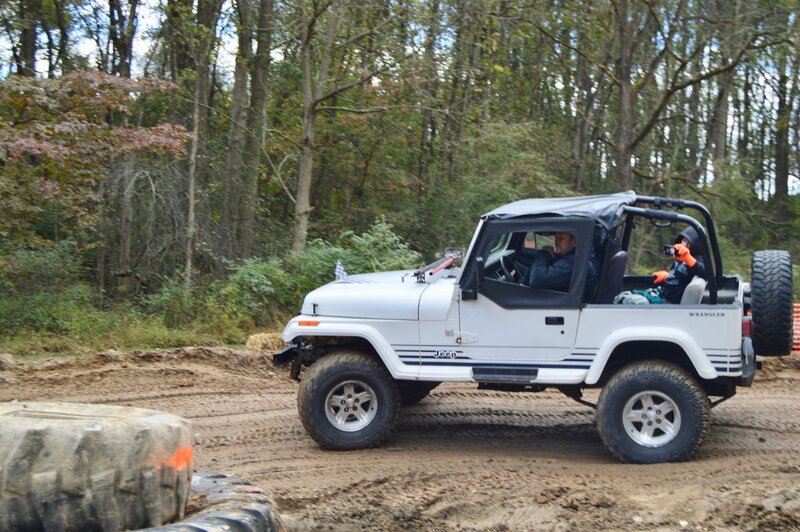 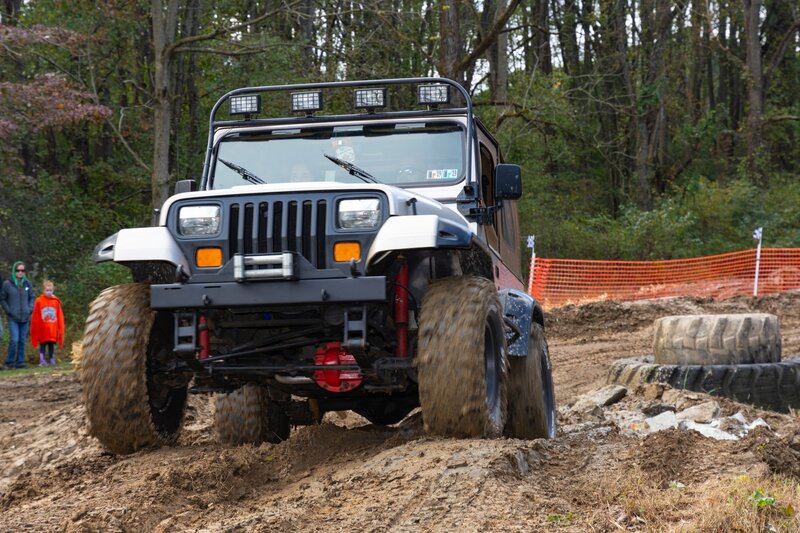 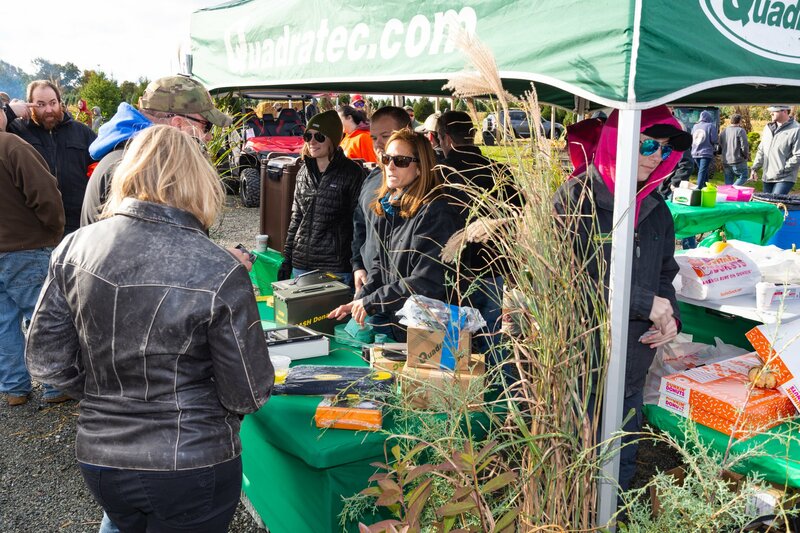 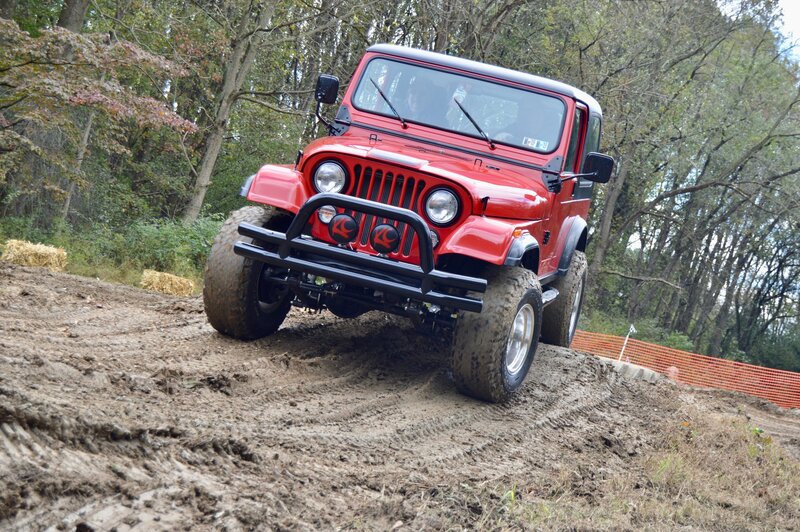 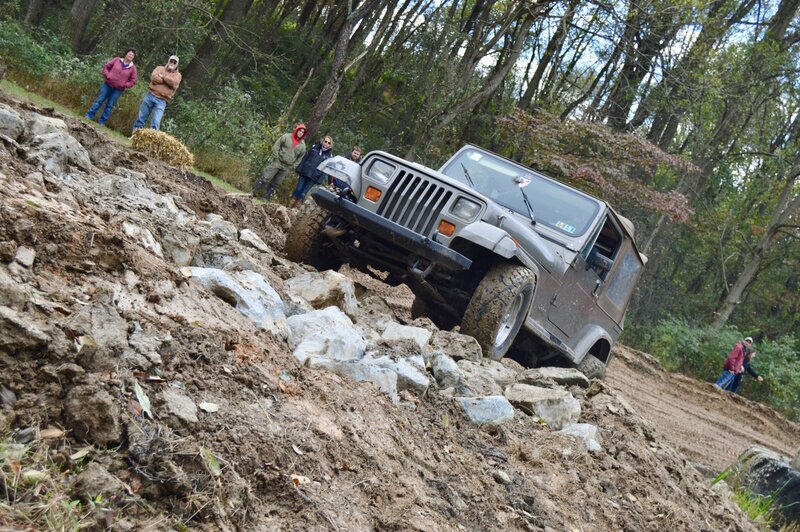 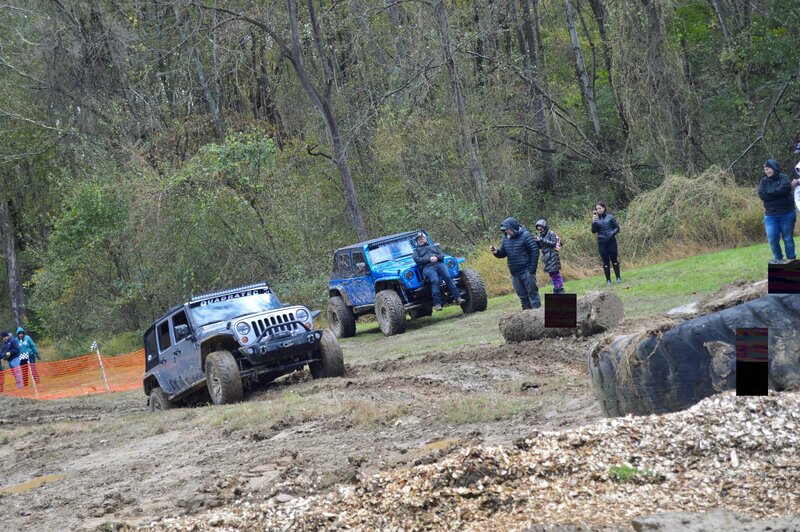 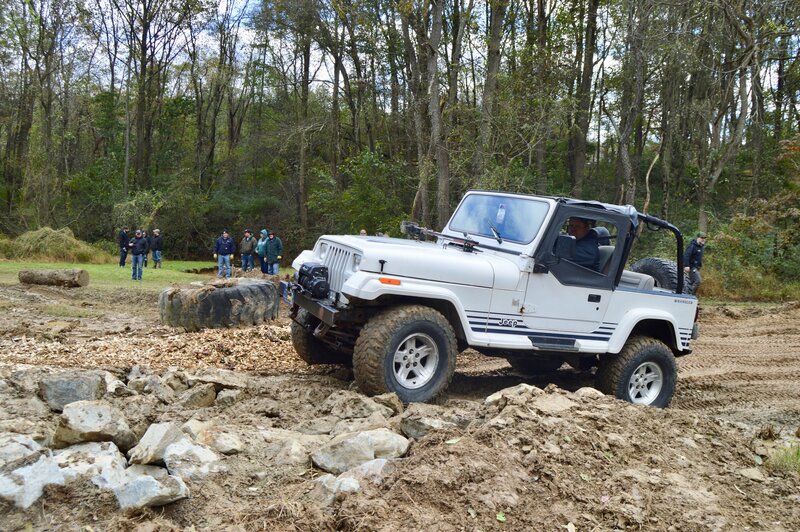 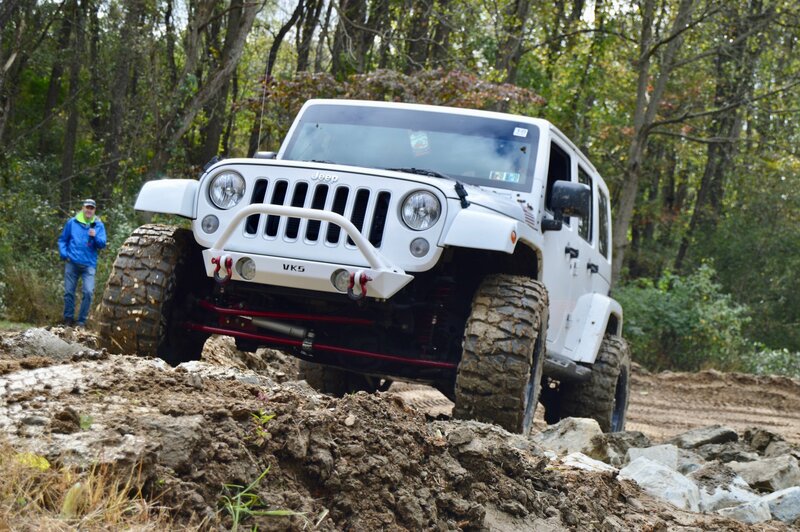 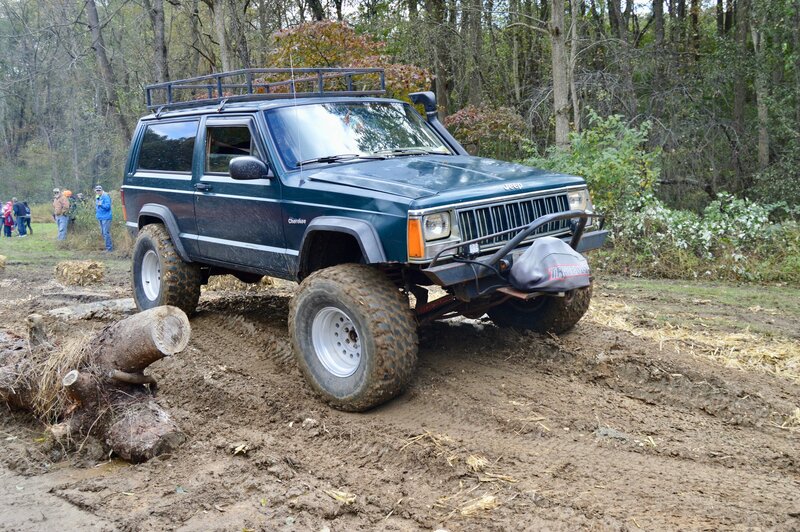 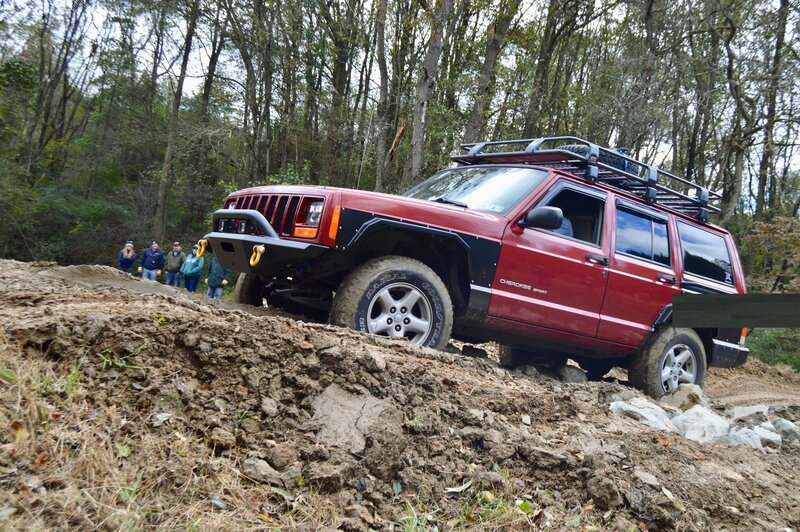 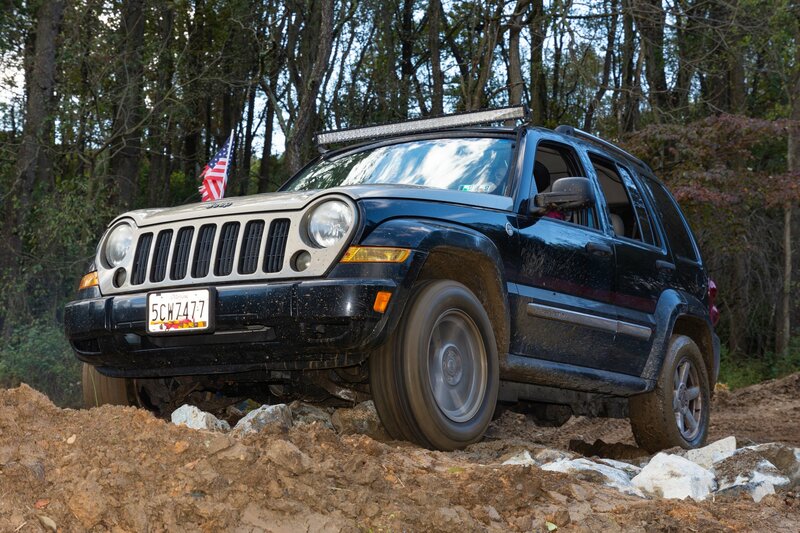 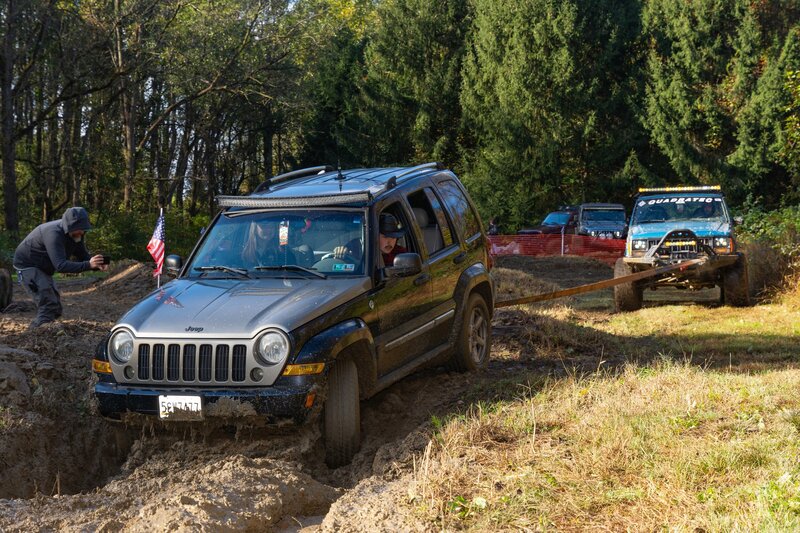 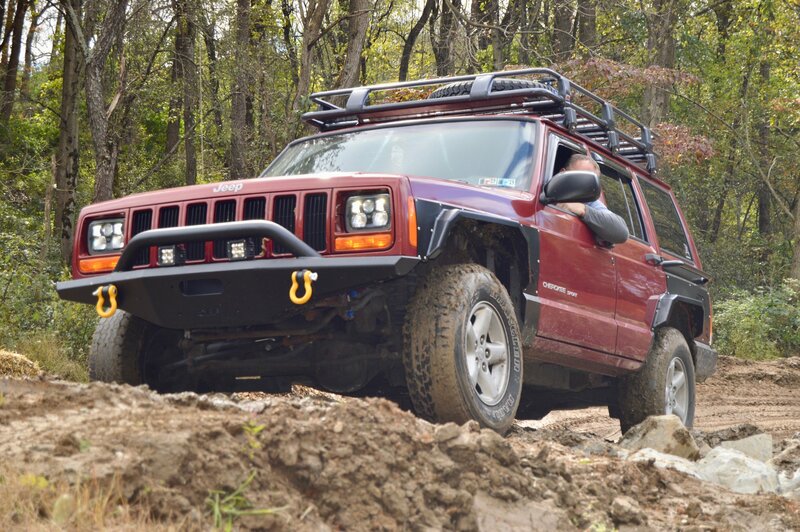 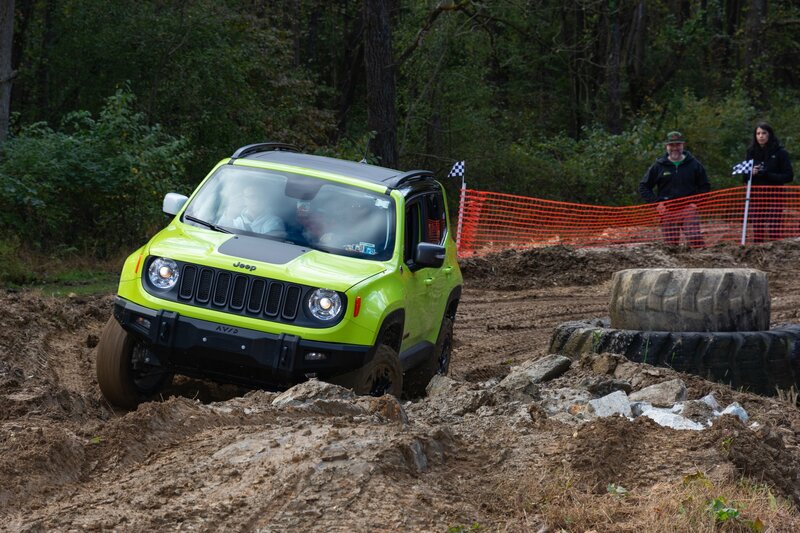 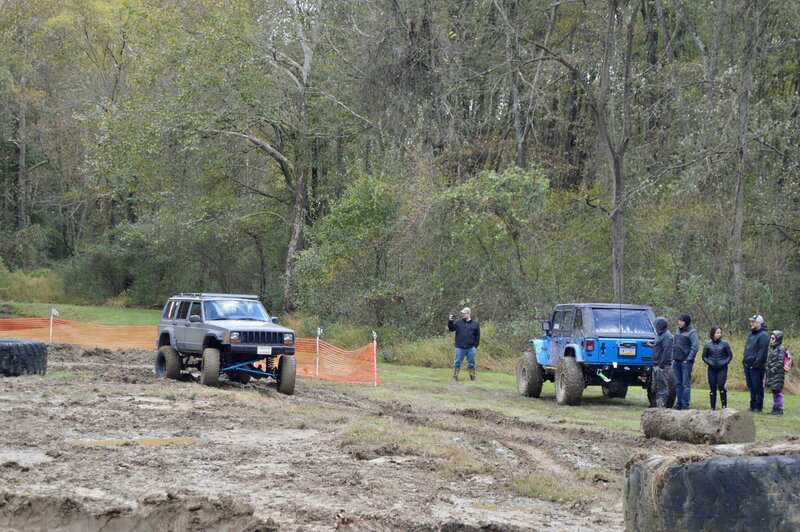 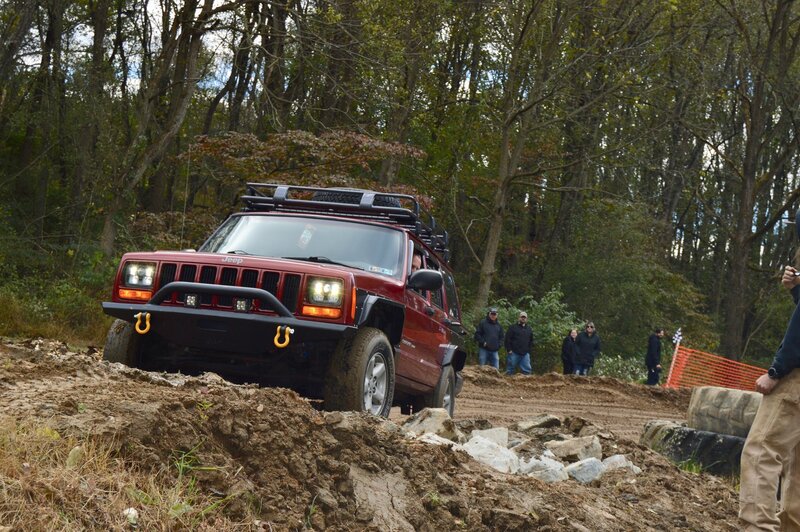 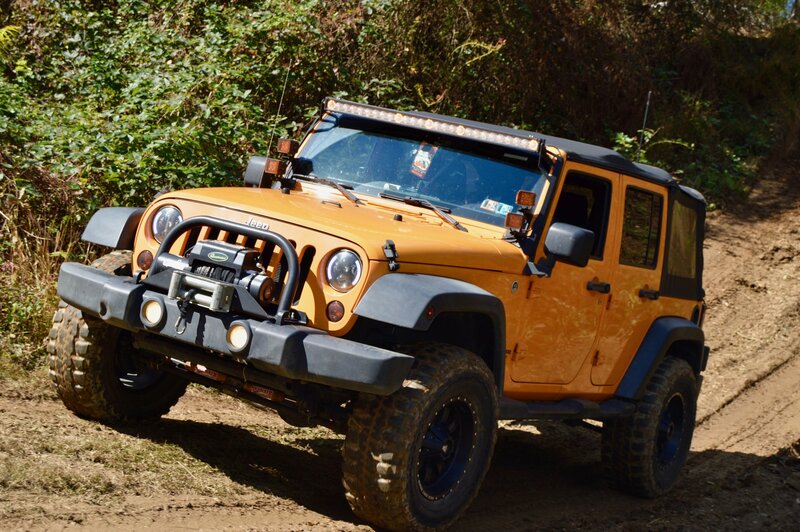 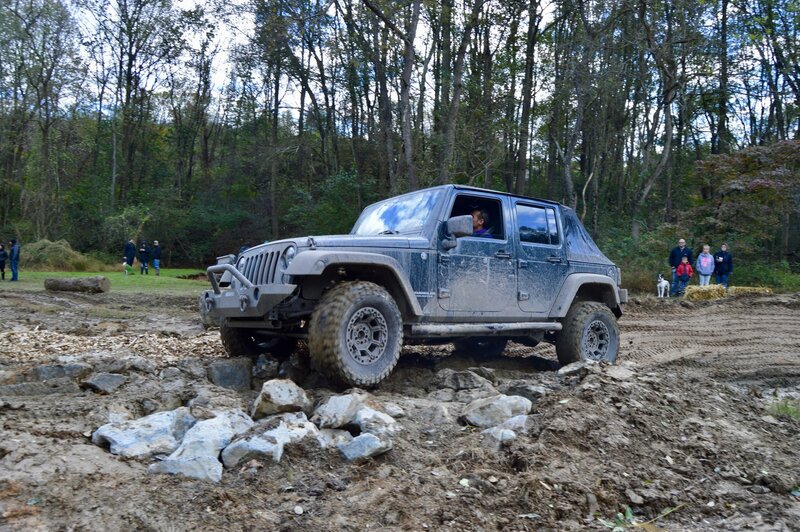 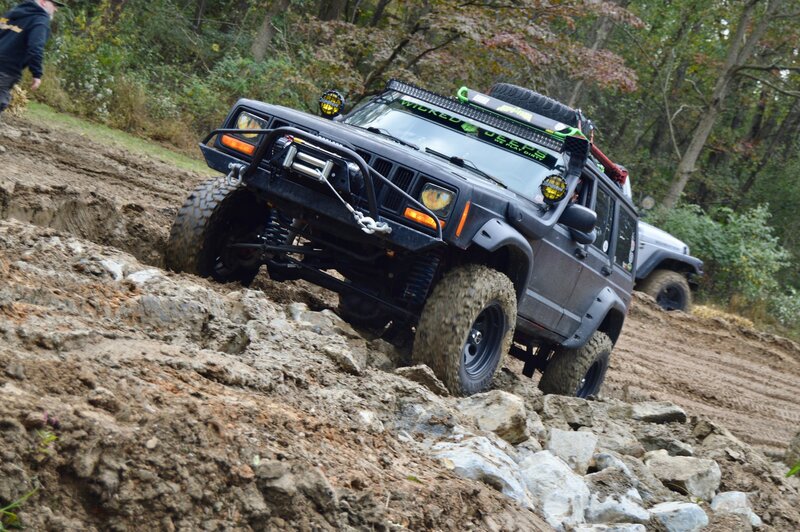 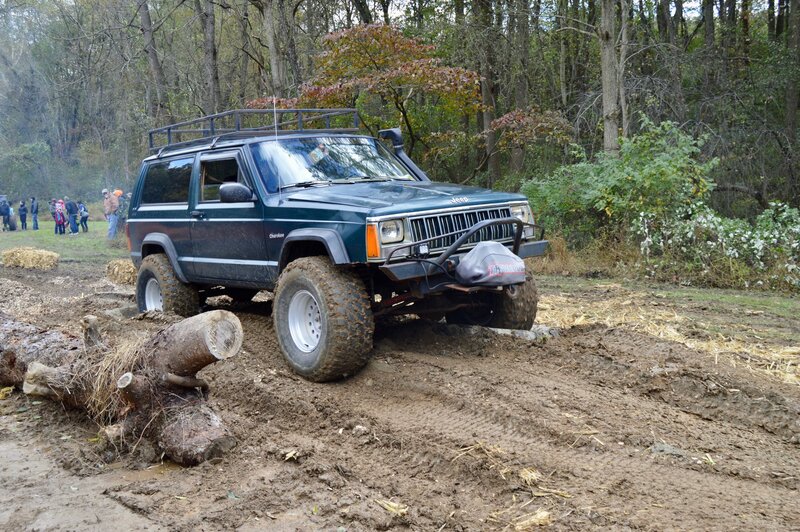 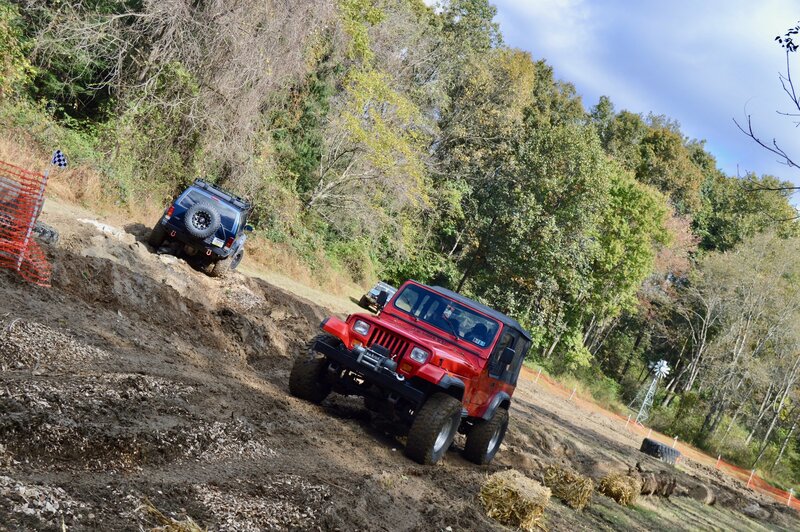 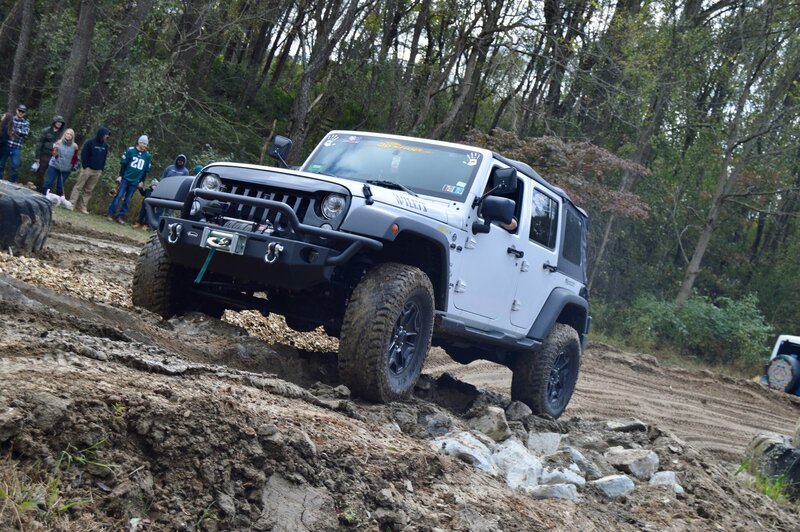 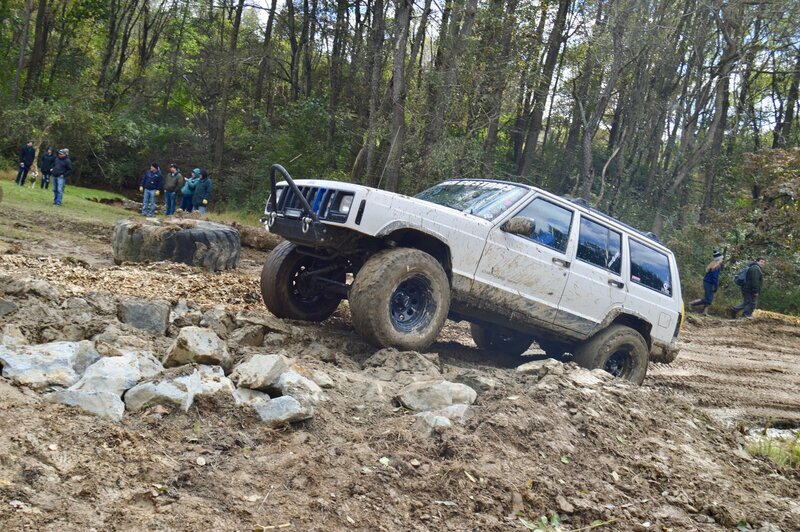 Quadratec's October Jeeps & Java headed off-campus Sunday, down to Spruce Grove Tree Farm just outside of Oxford, Pa. 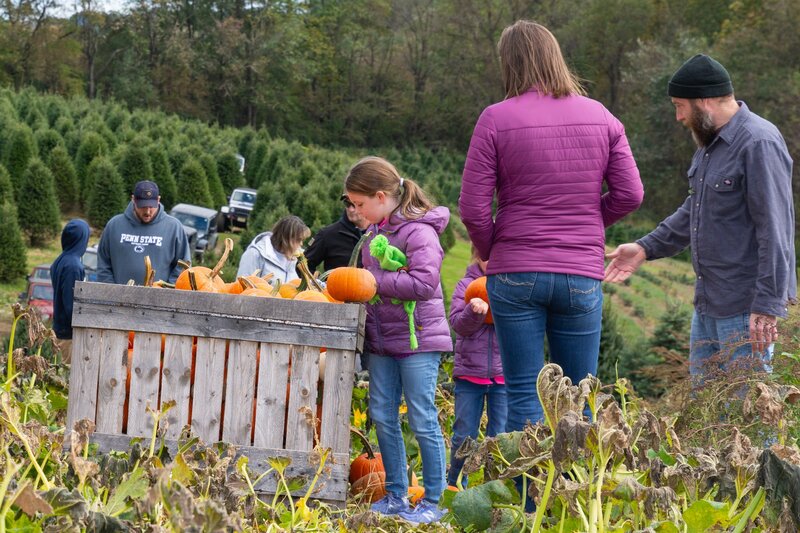 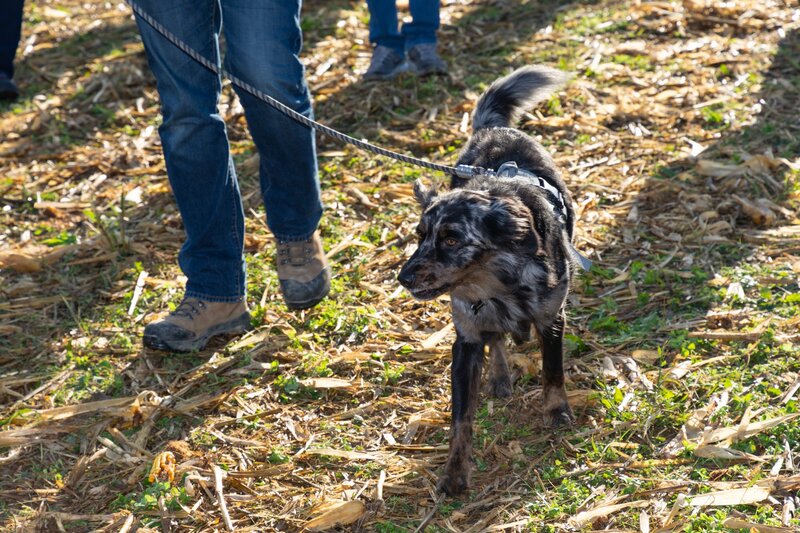 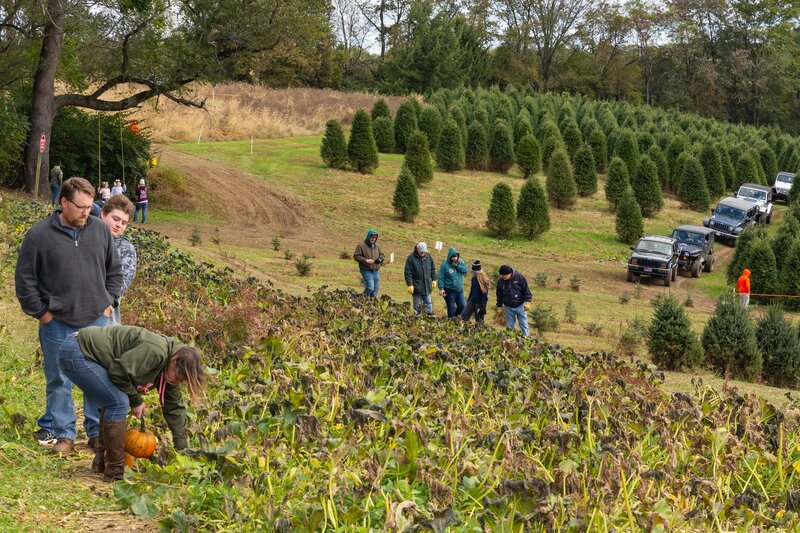 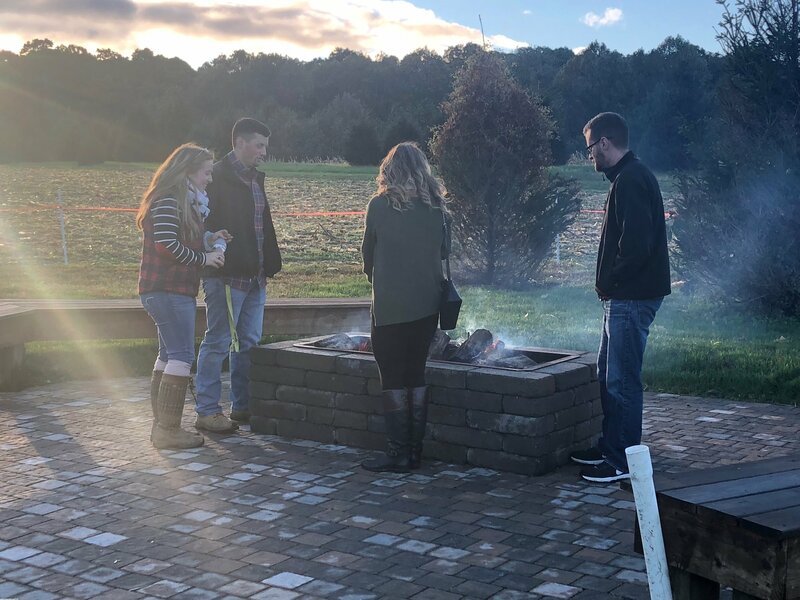 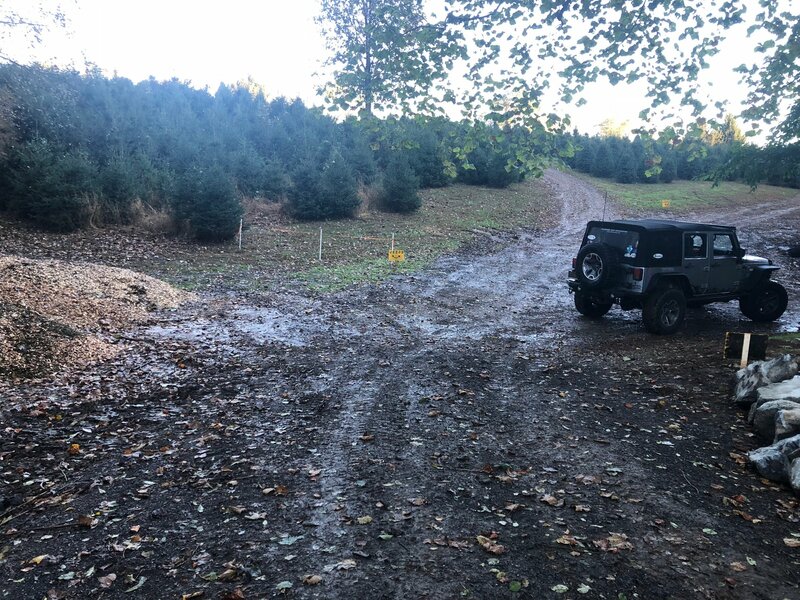 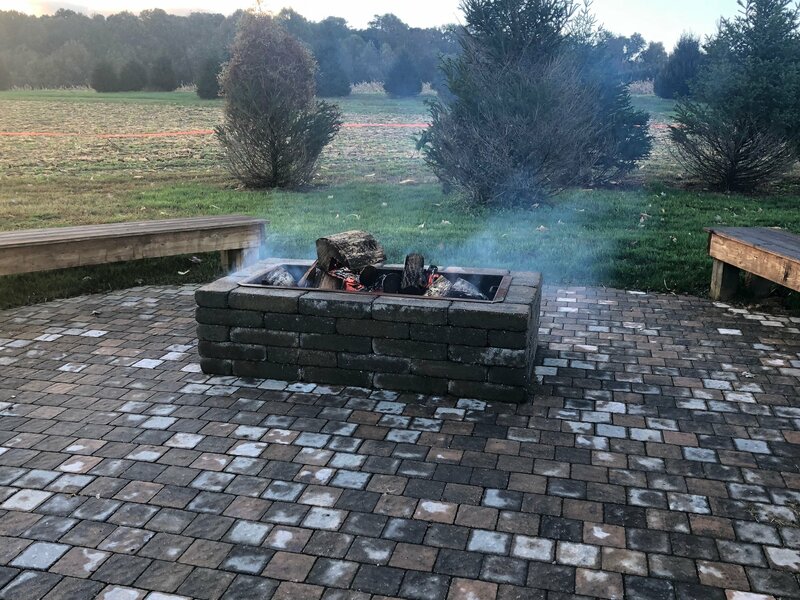 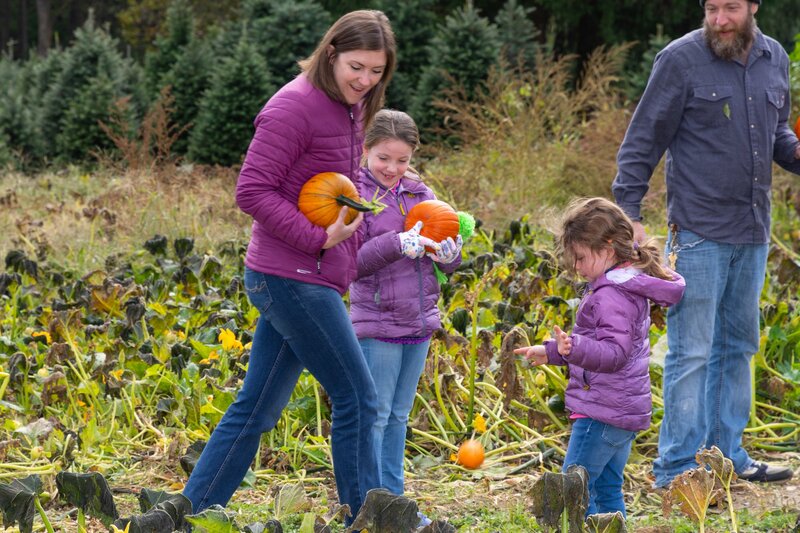 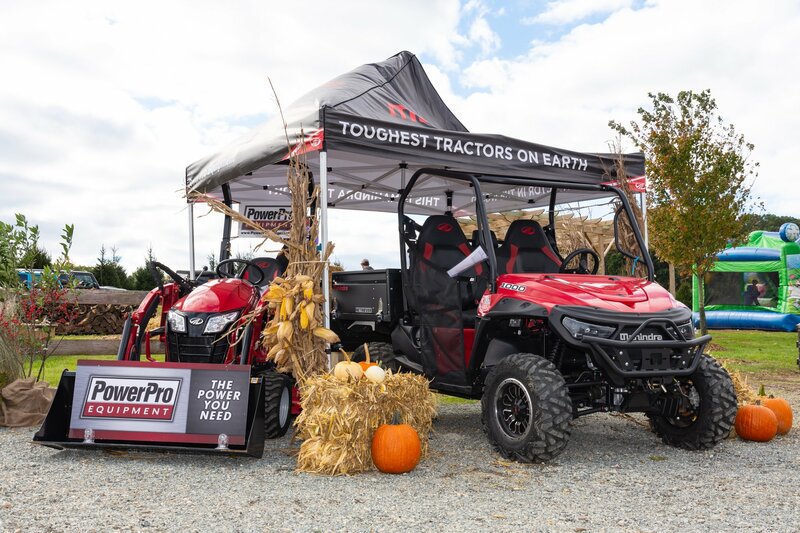 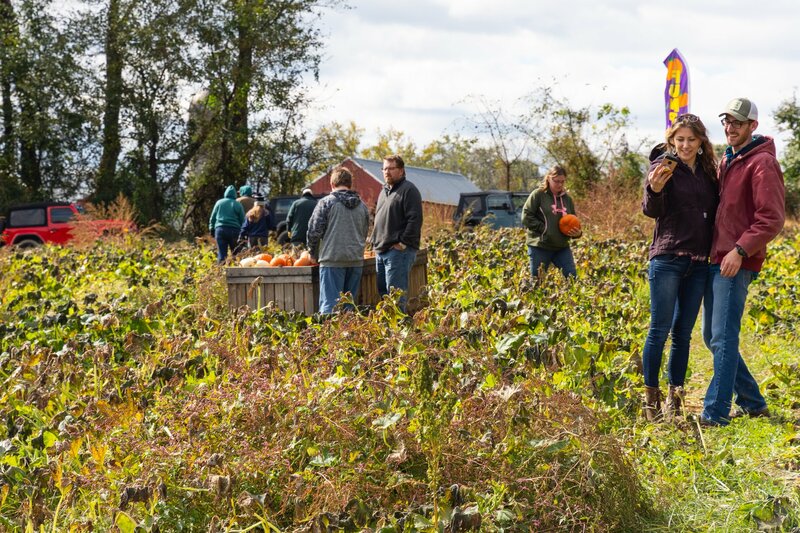 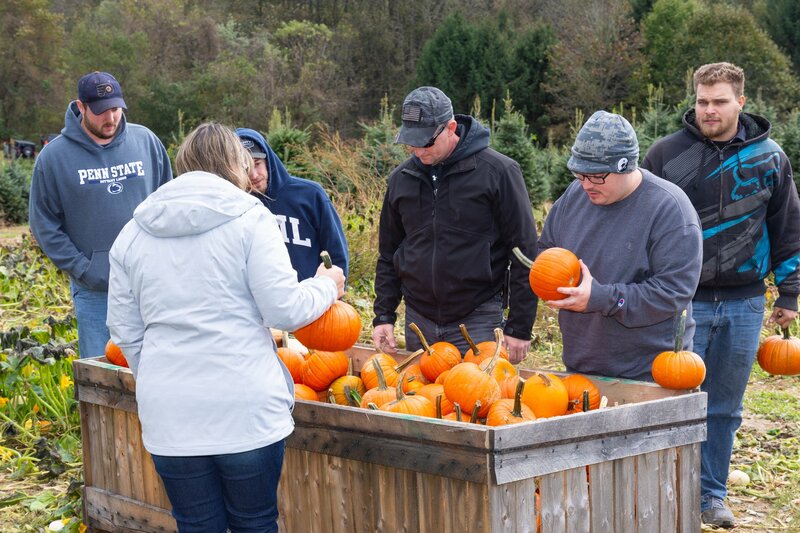 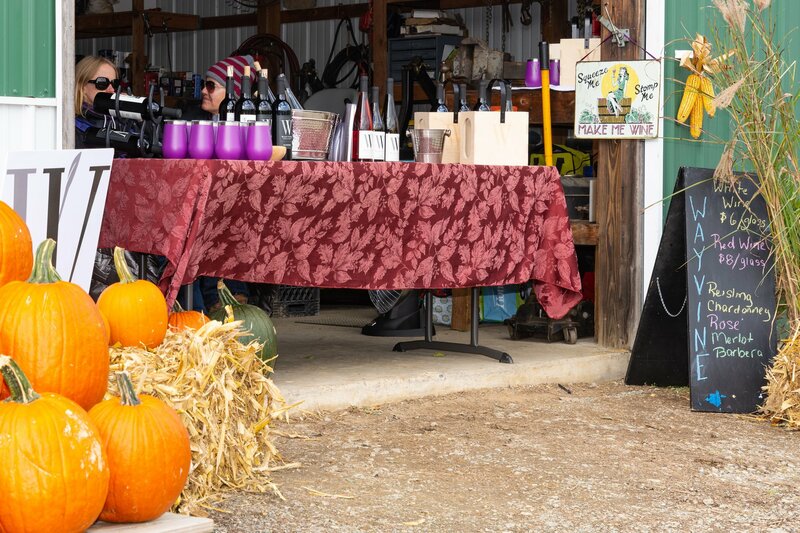 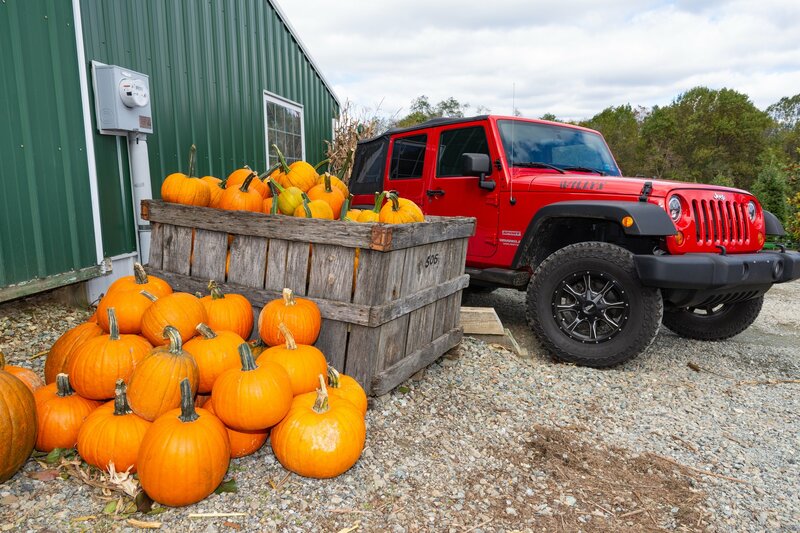 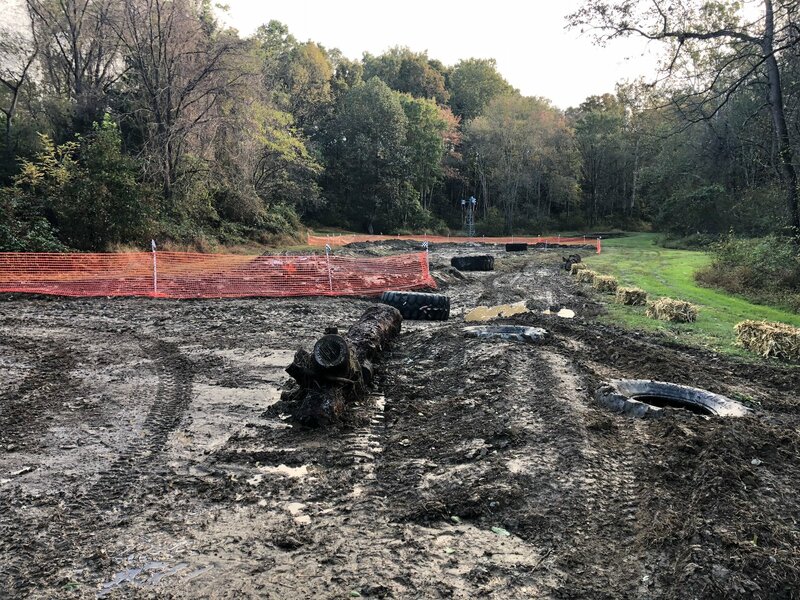 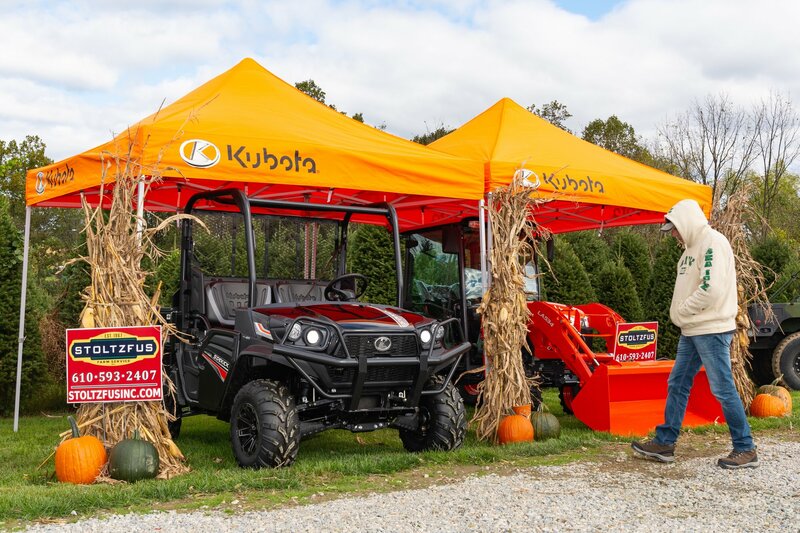 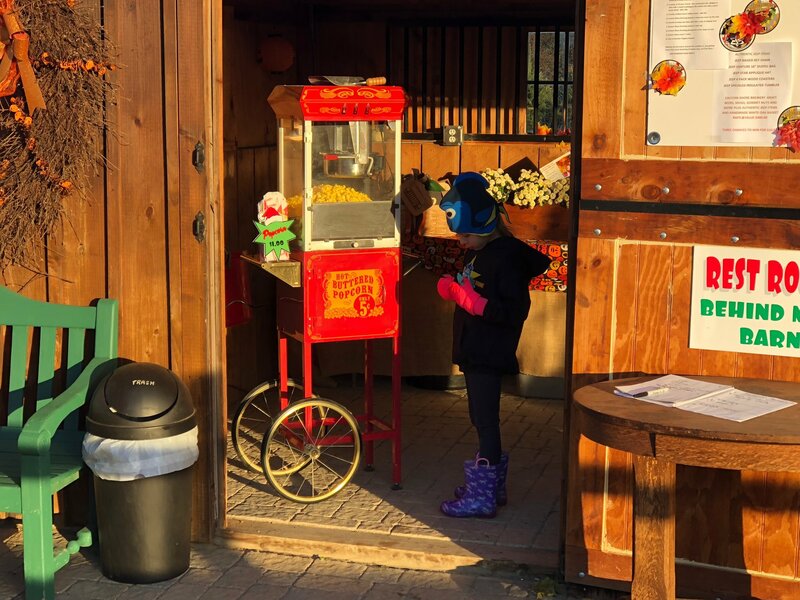 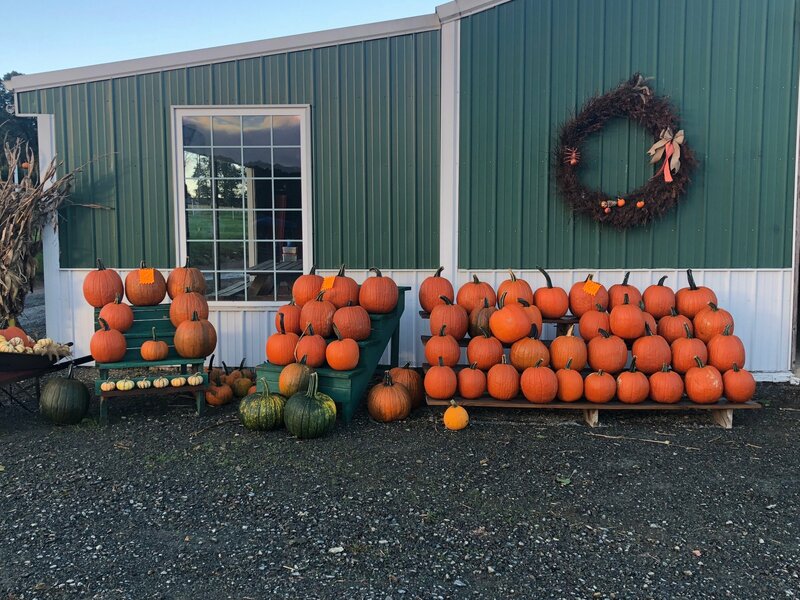 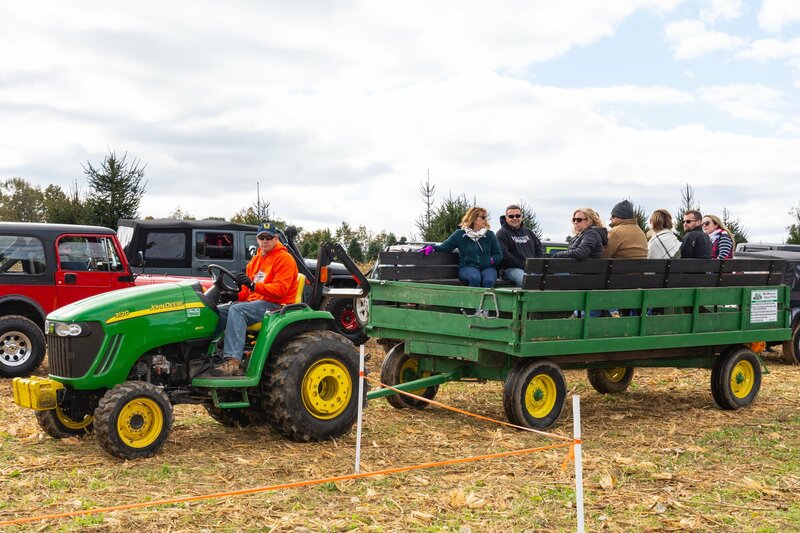 This 50-acre 'choose and cut' tree farm offers up plenty of pumpkins and Christmas trees this time of year, as well as a small obstacle course and a variety of other fun things to do for everyone. 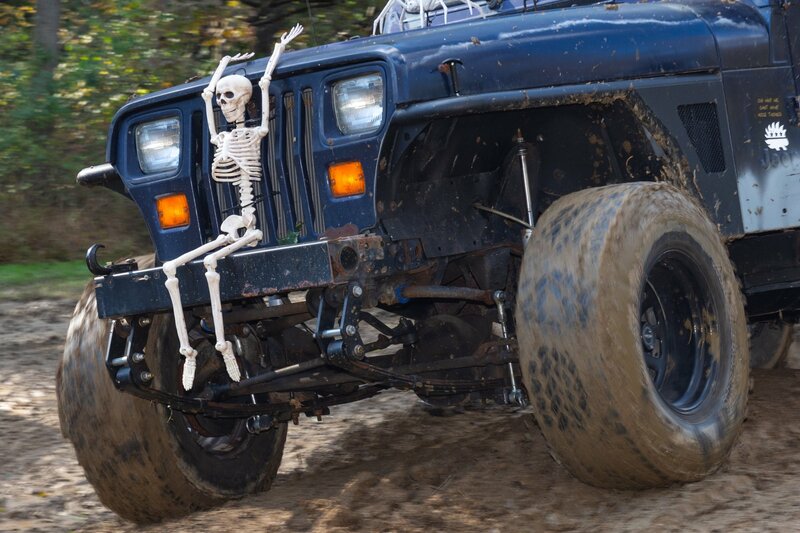 So we definitely were looking forward to revisiting this year after having a blast last October. 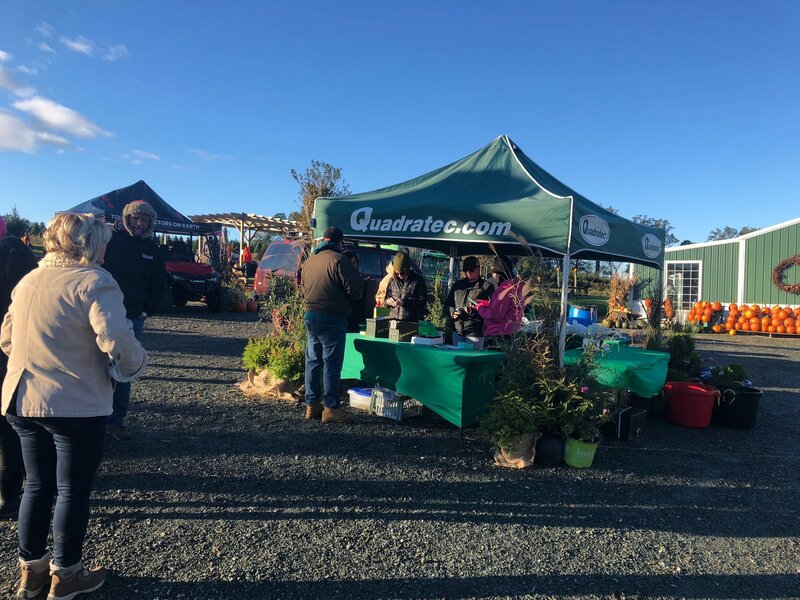 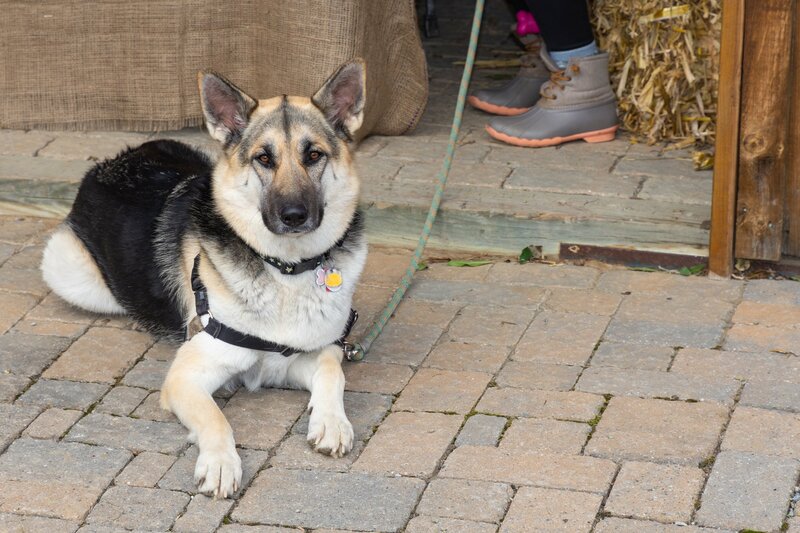 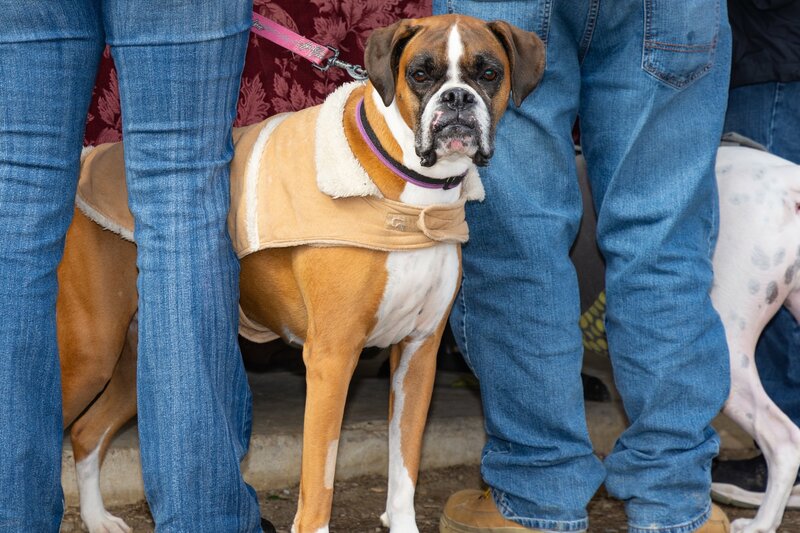 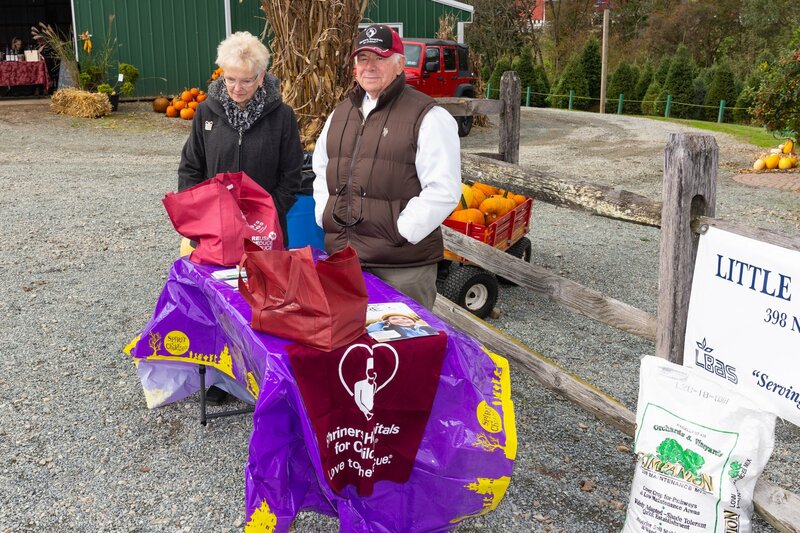 Along the way, we put out doughnuts, coffee and set up our normal raffle and donation center to benefit The Michael Strange Foundation, Providence Animal Center and Shriners Children's Hospital of Philadelphia. 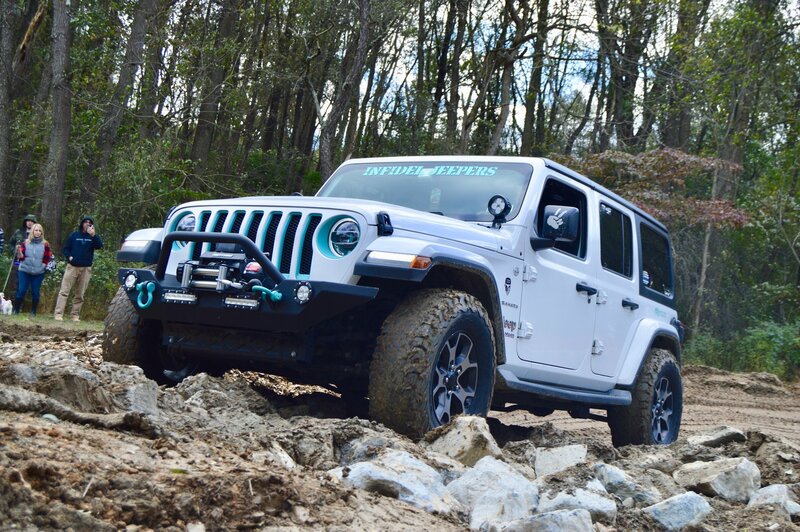 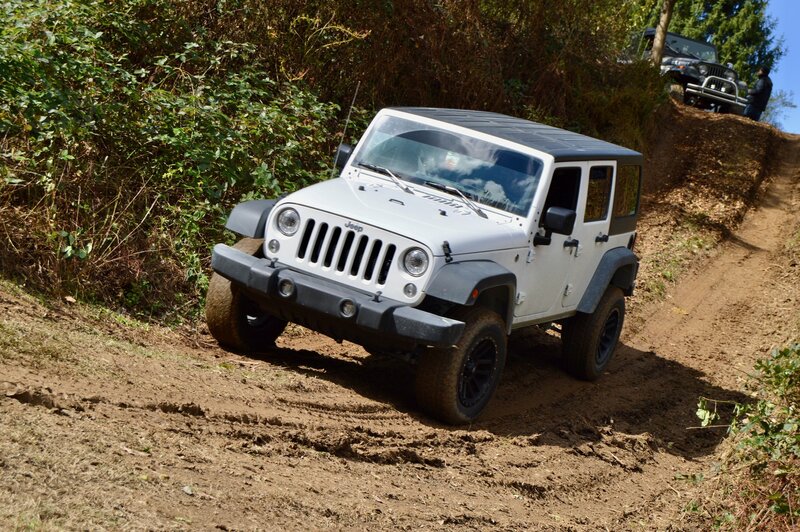 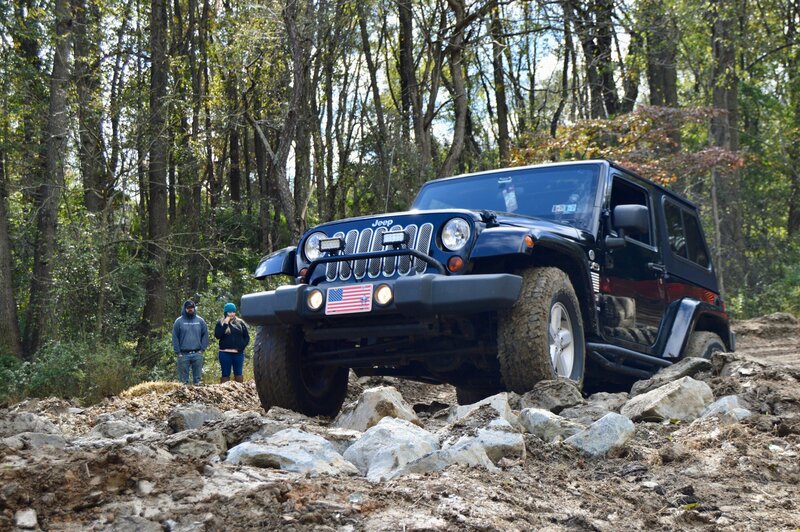 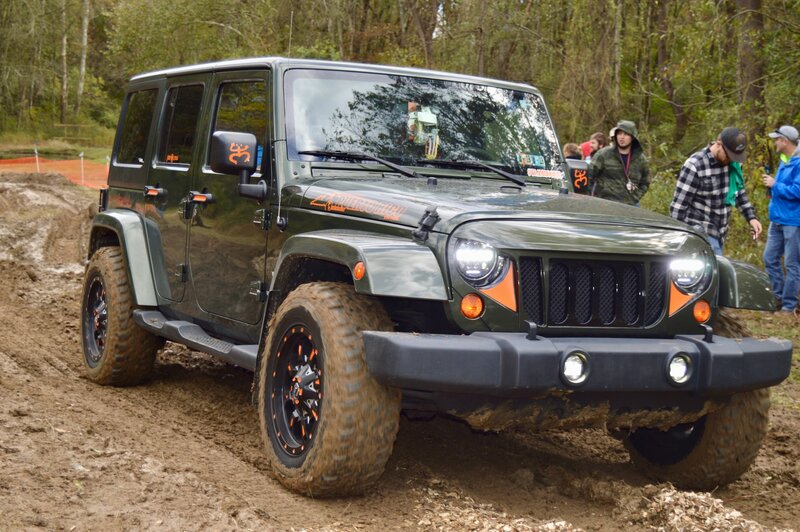 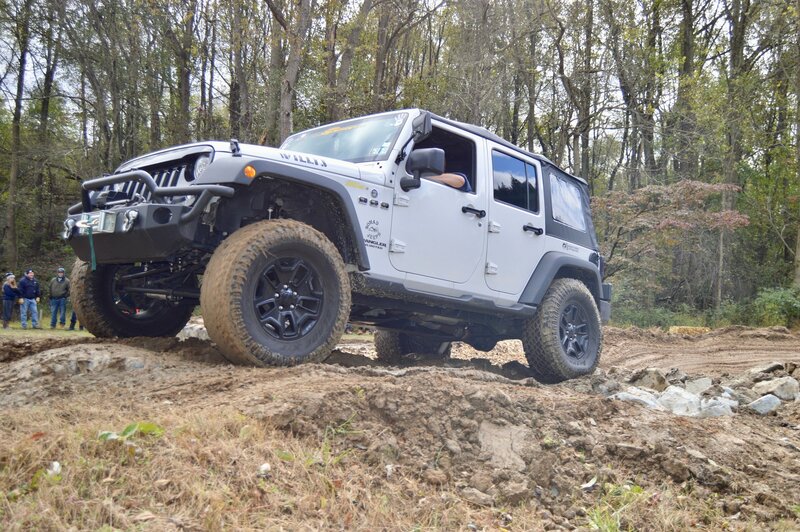 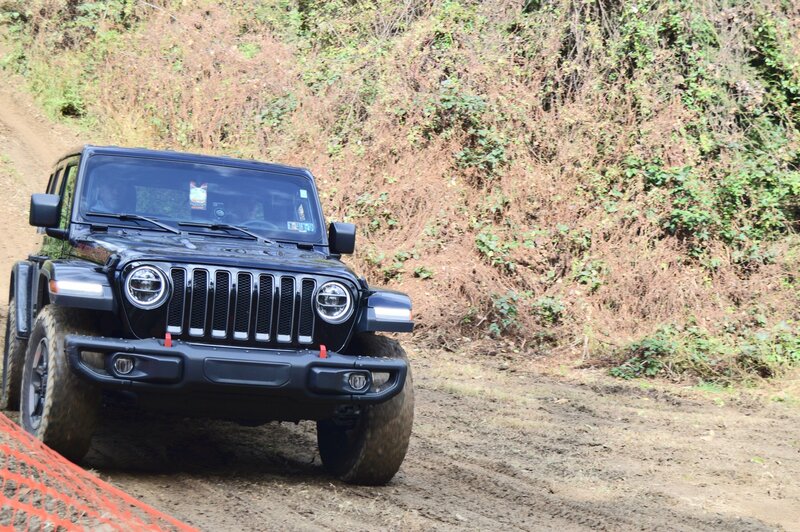 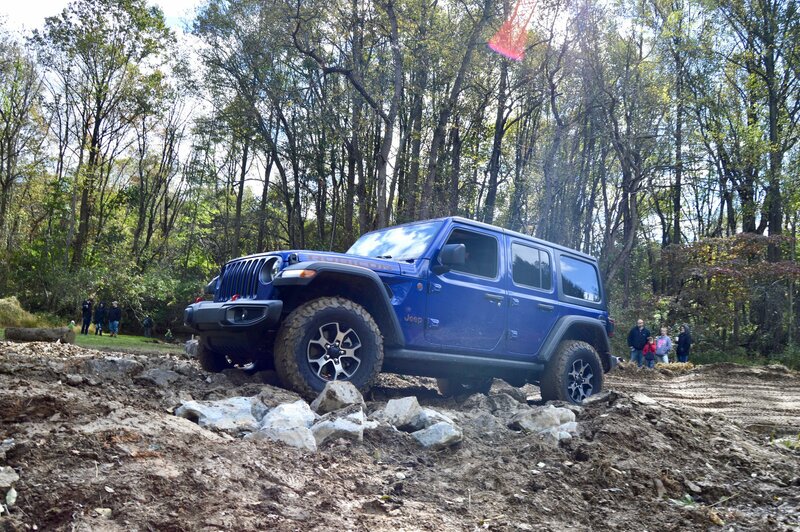 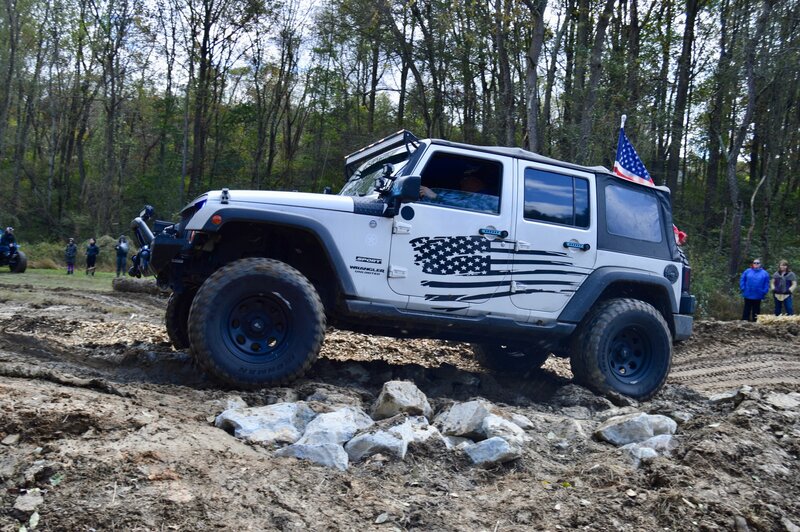 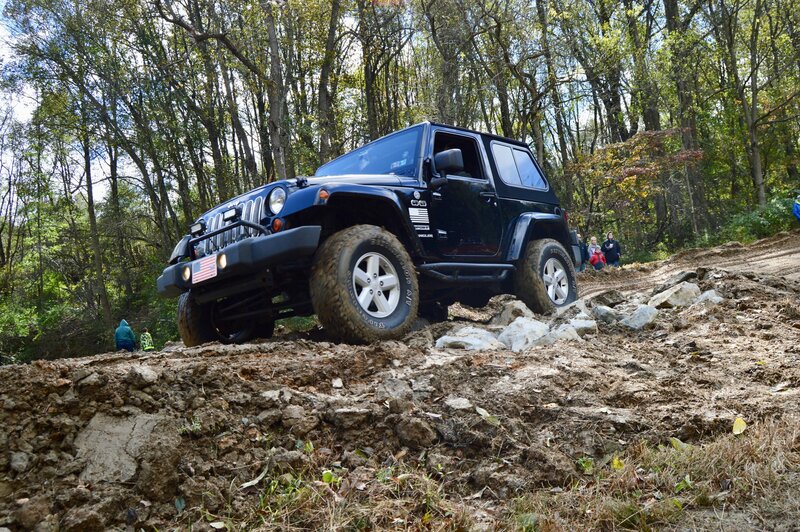 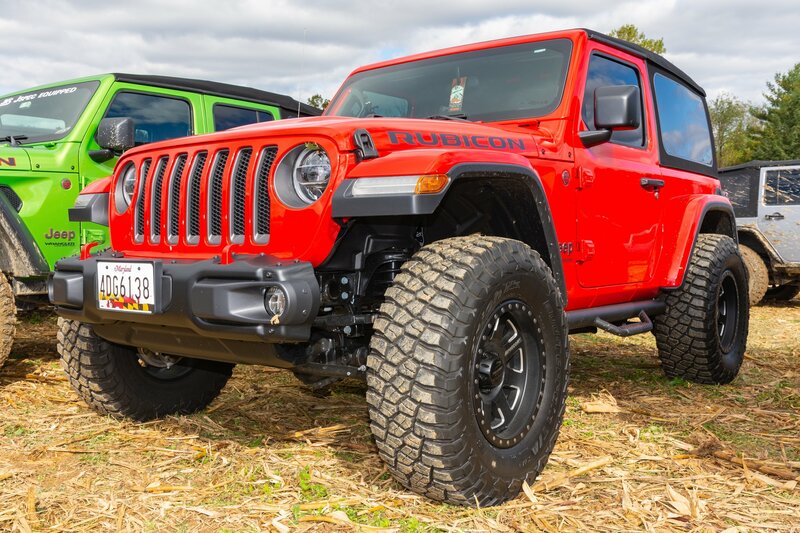 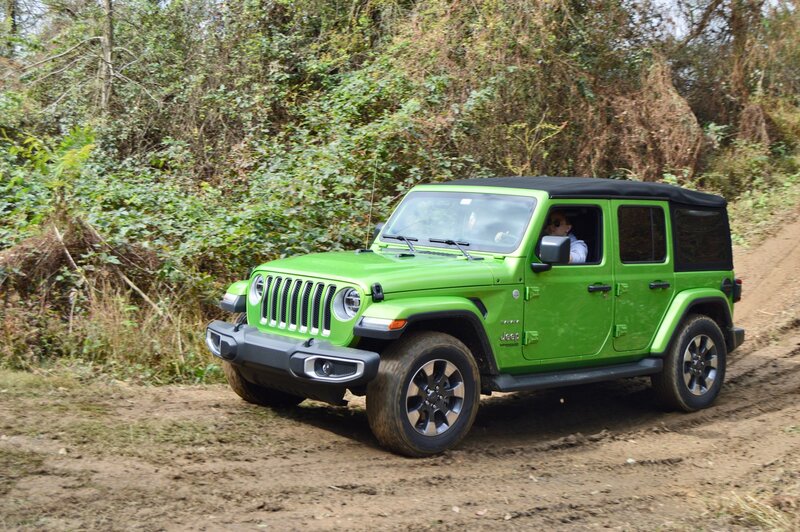 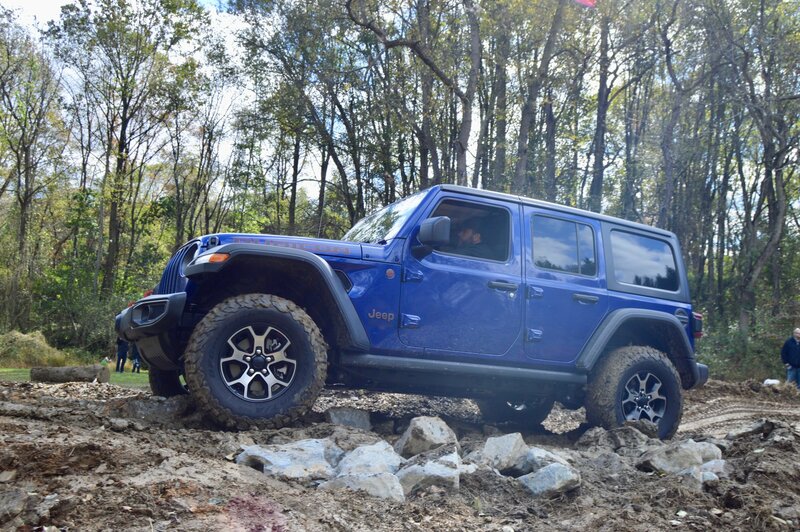 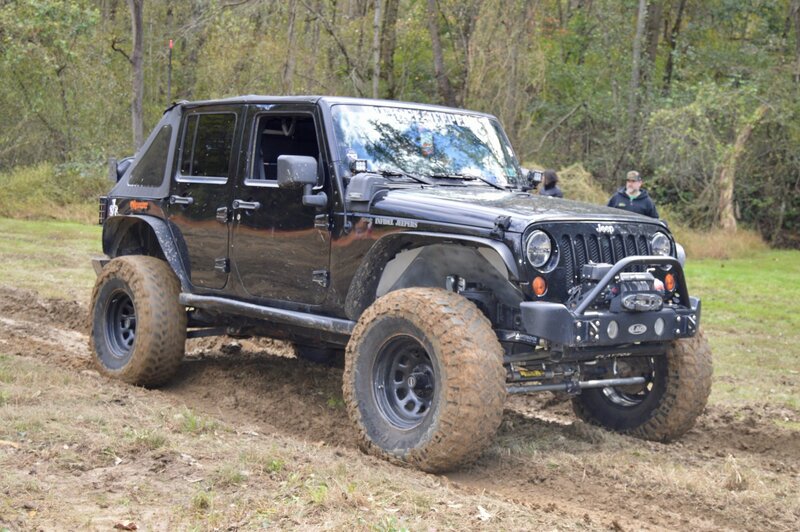 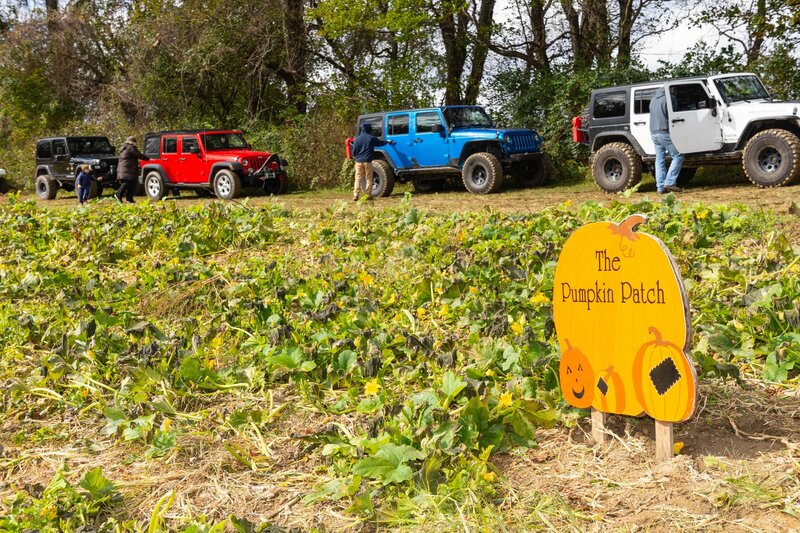 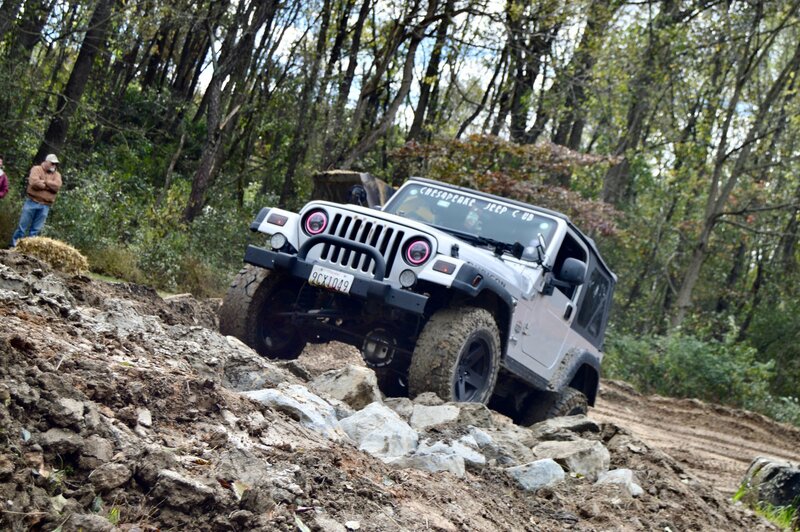 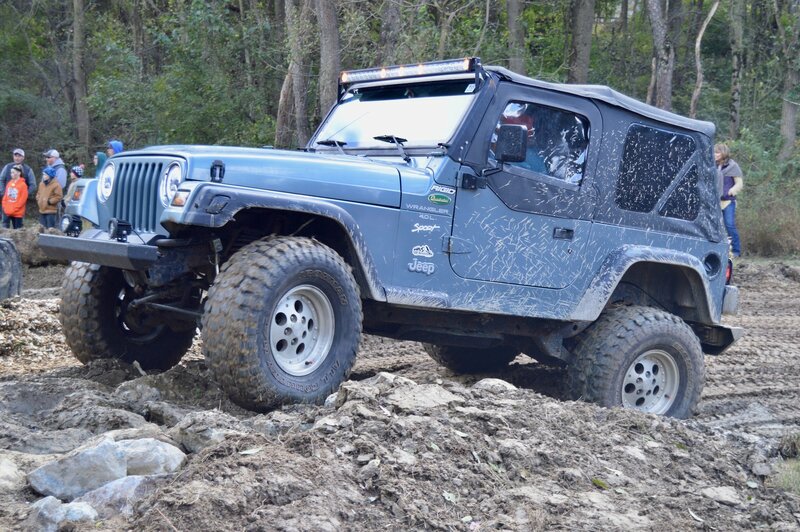 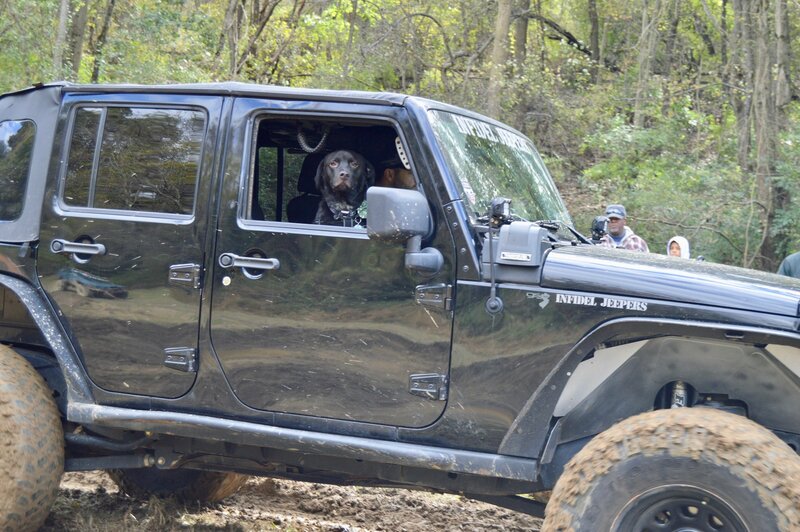 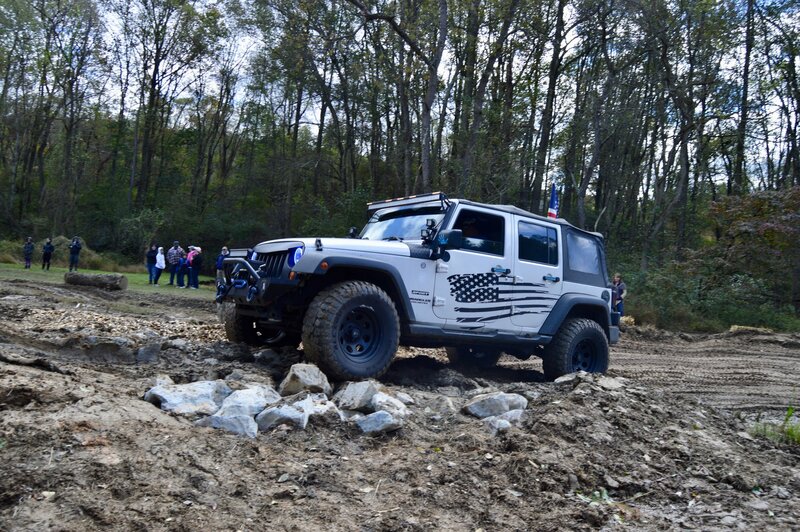 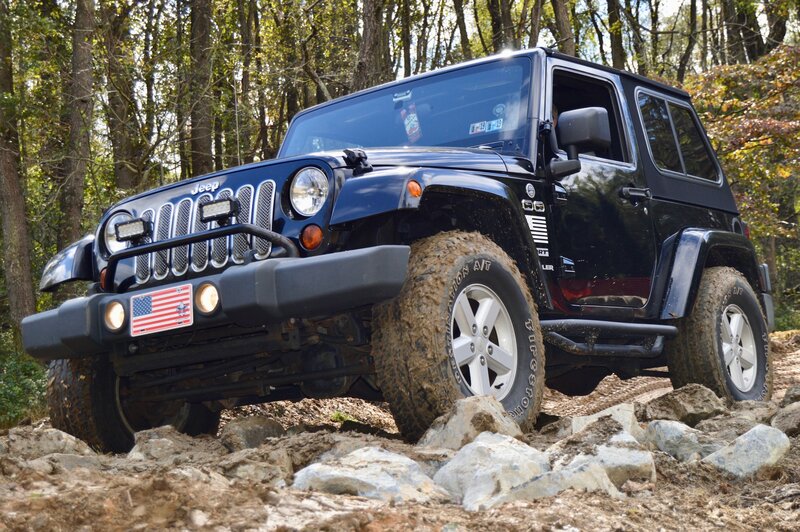 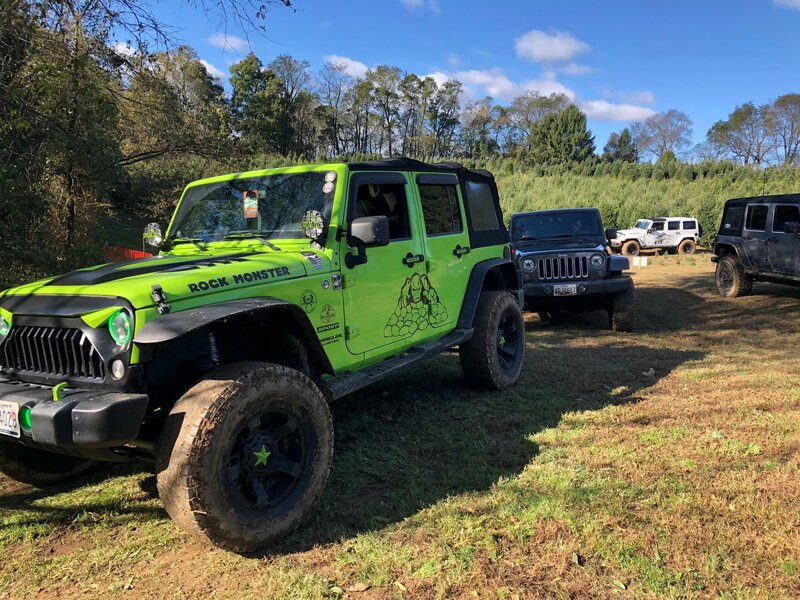 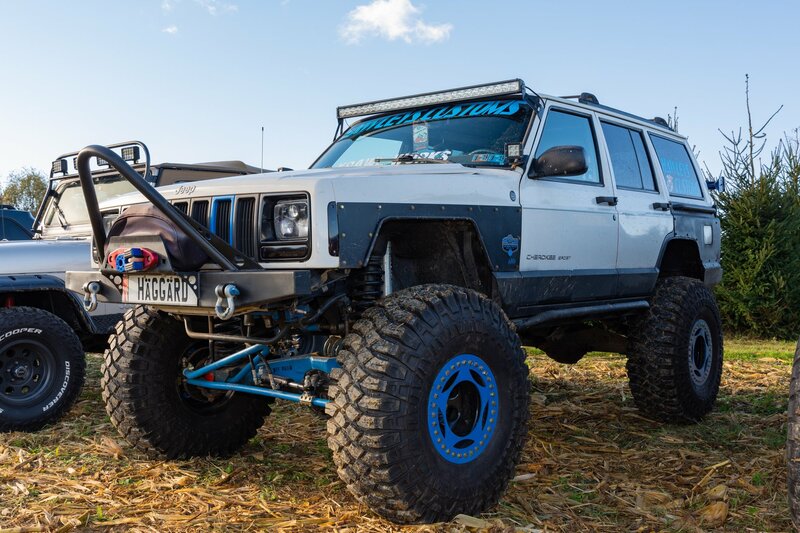 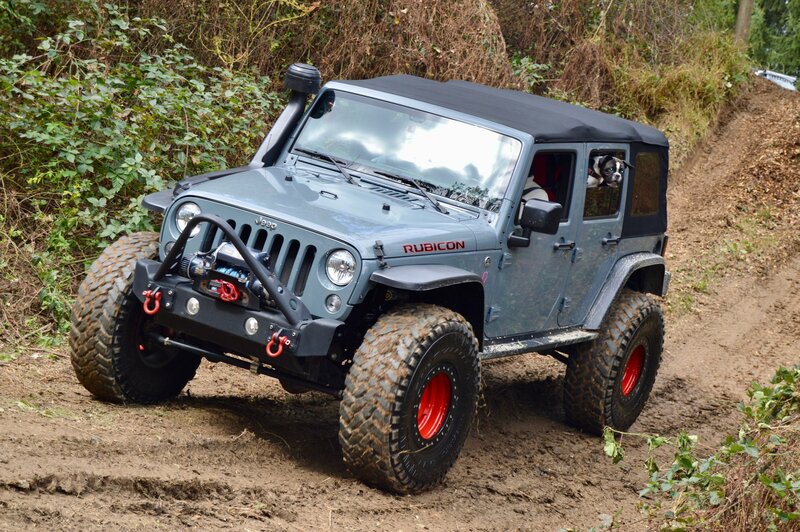 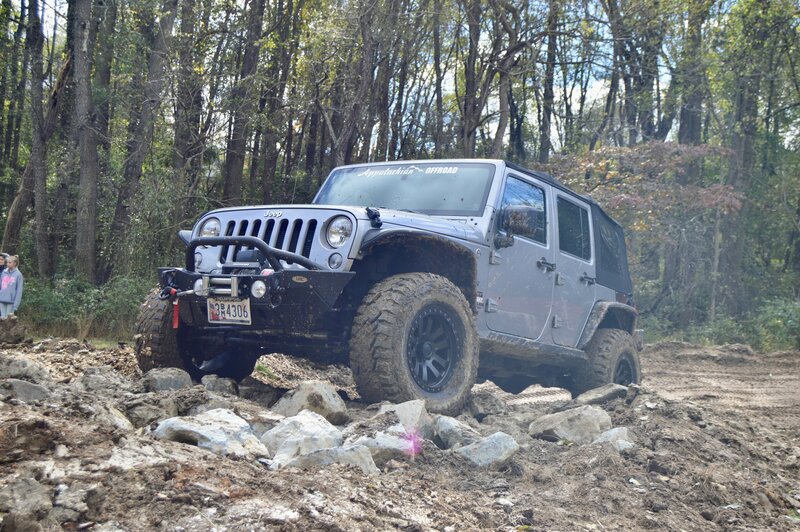 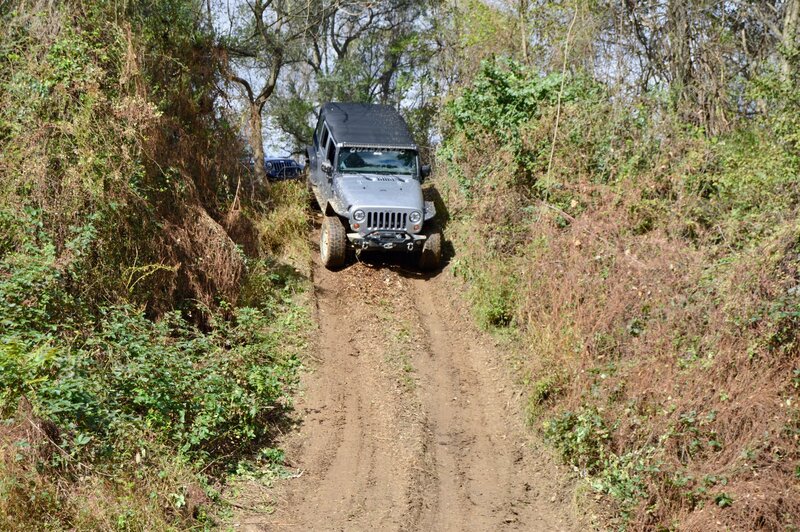 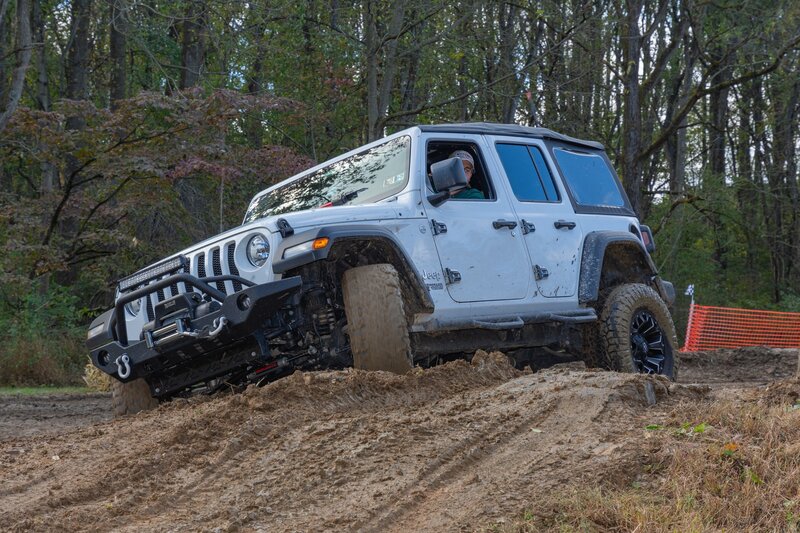 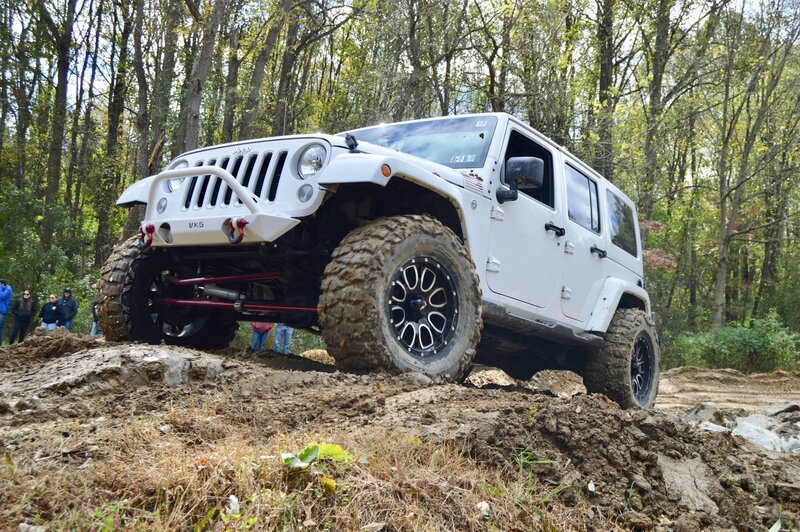 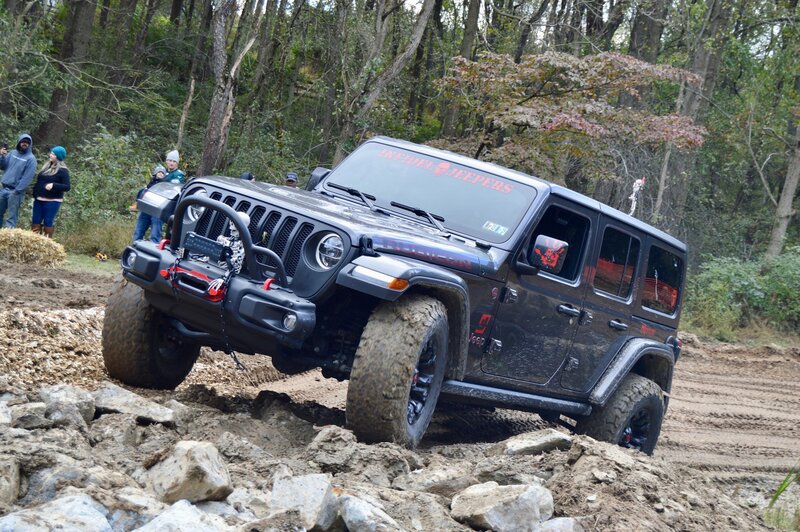 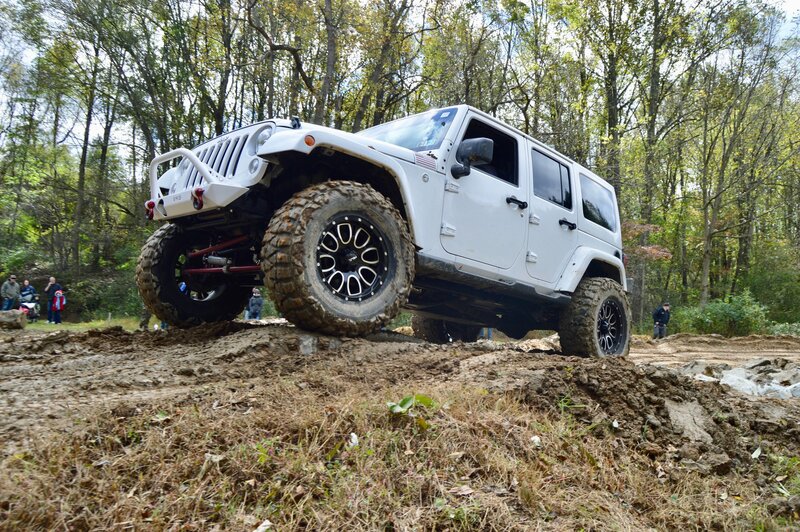 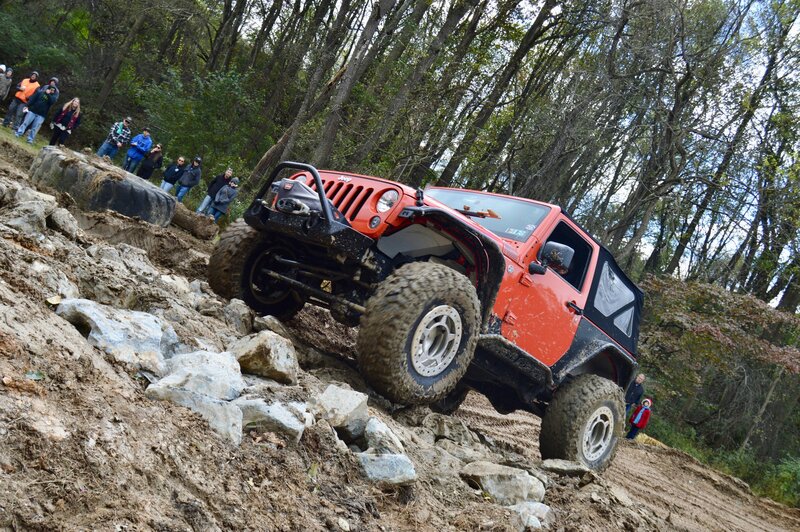 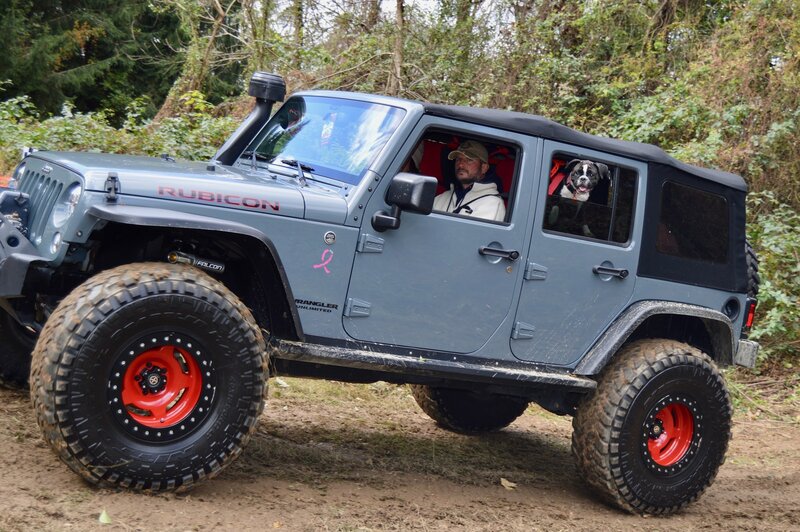 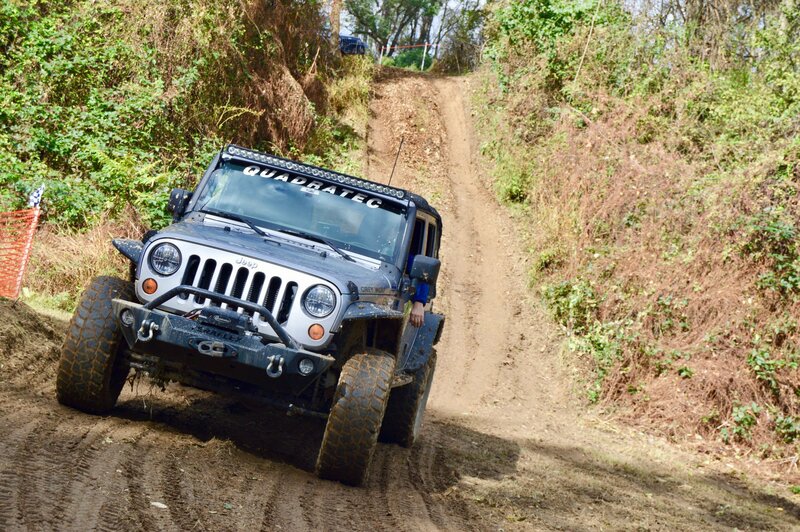 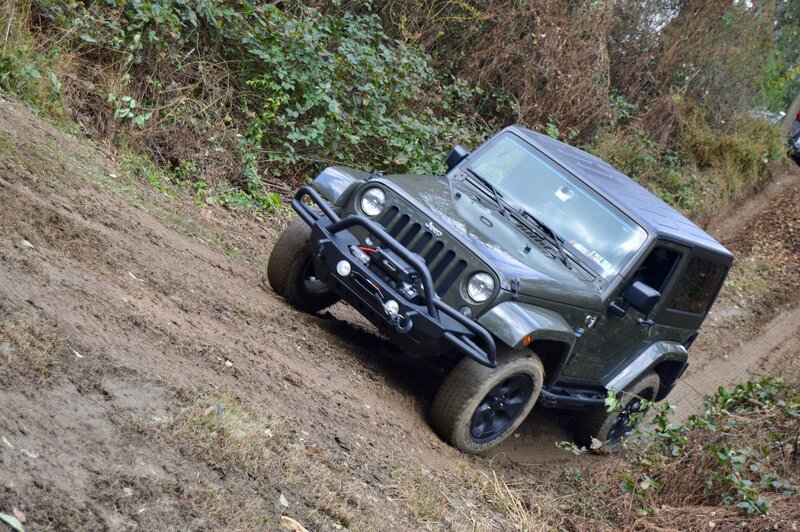 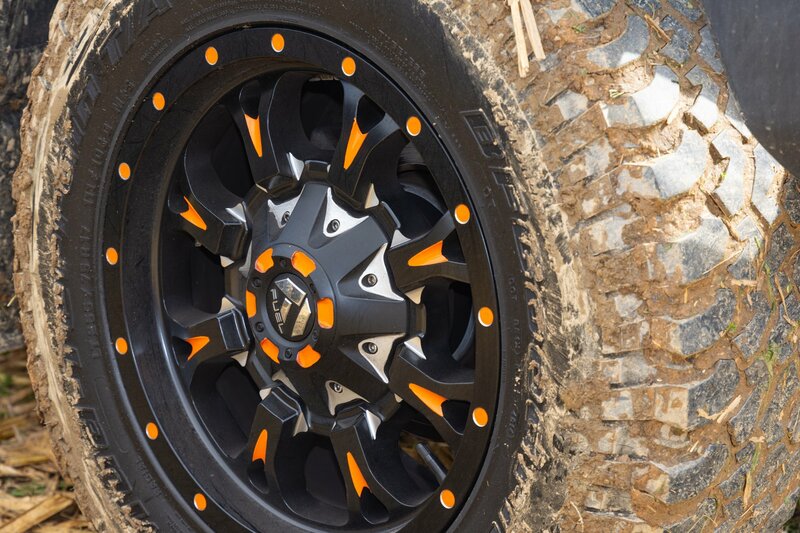 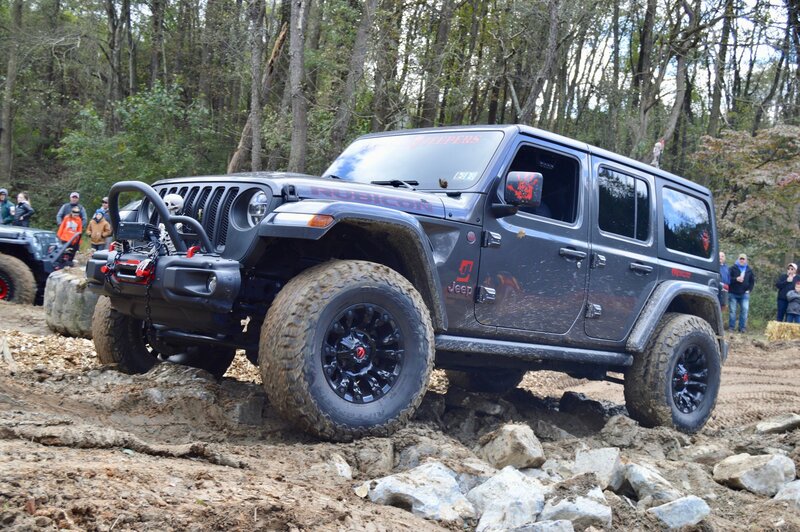 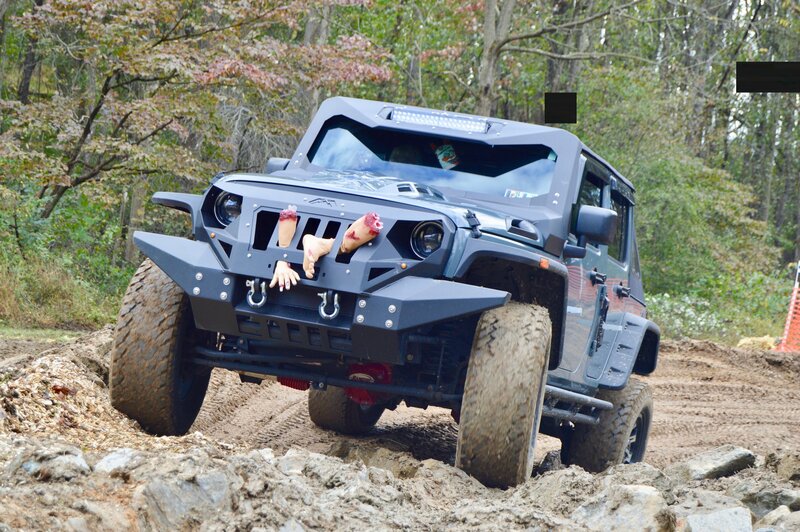 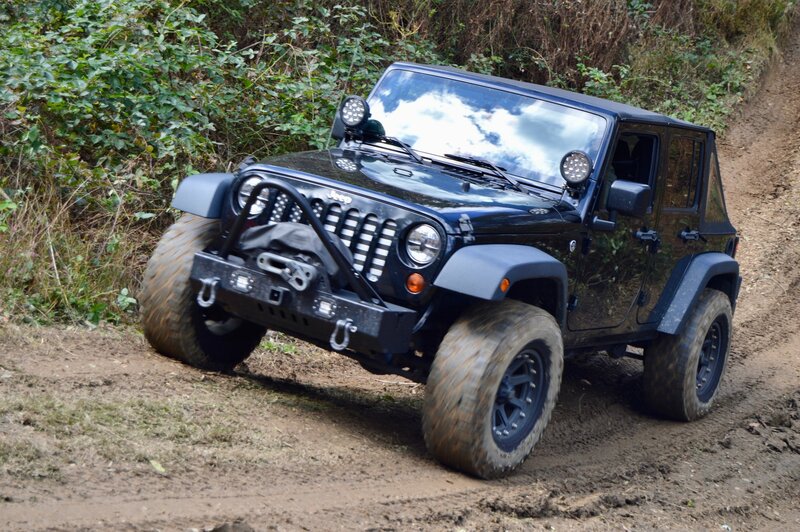 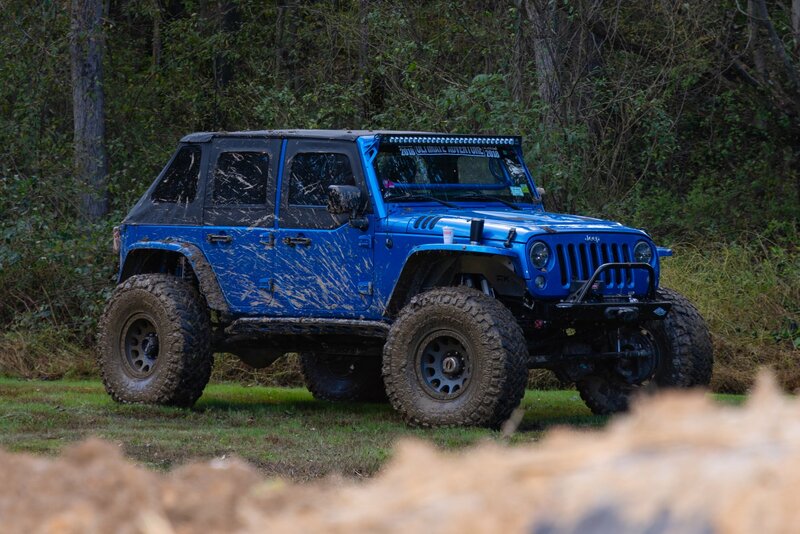 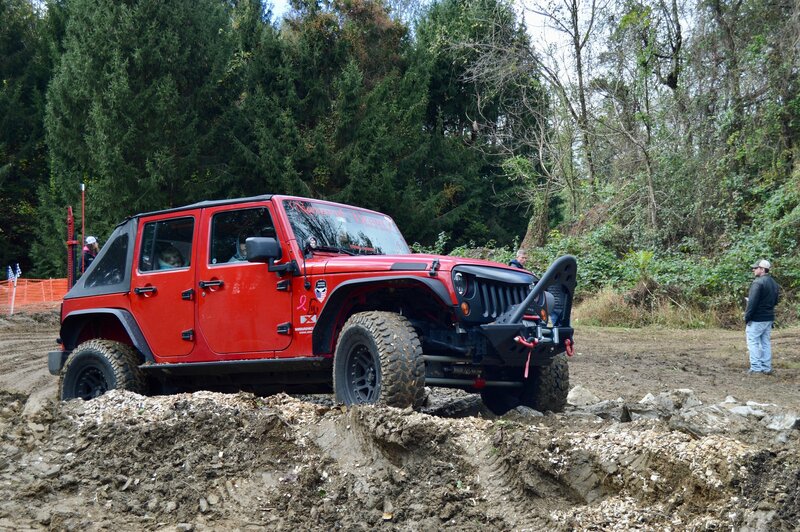 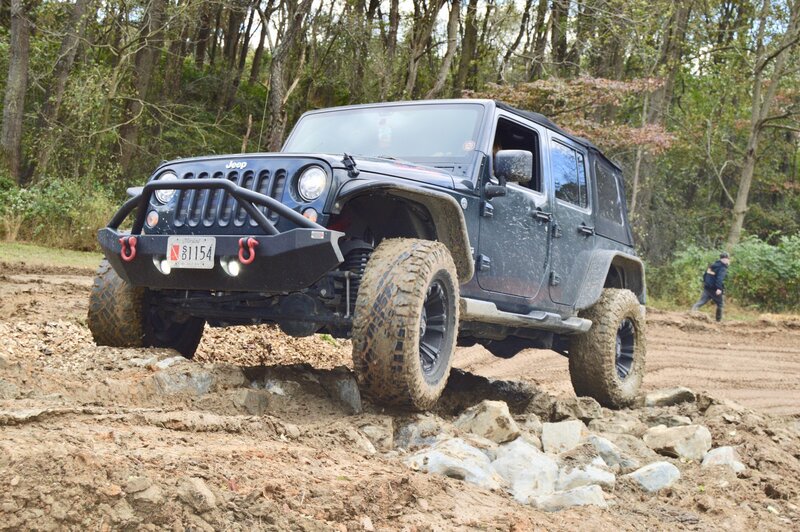 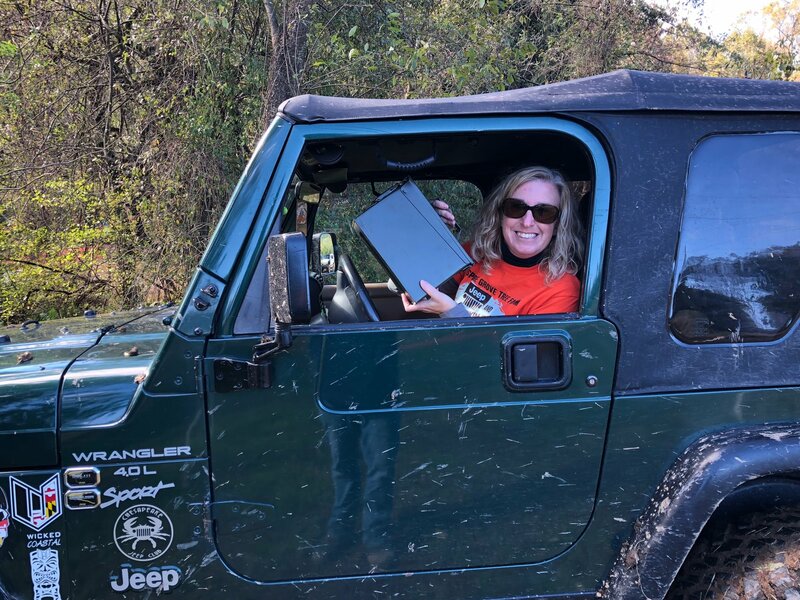 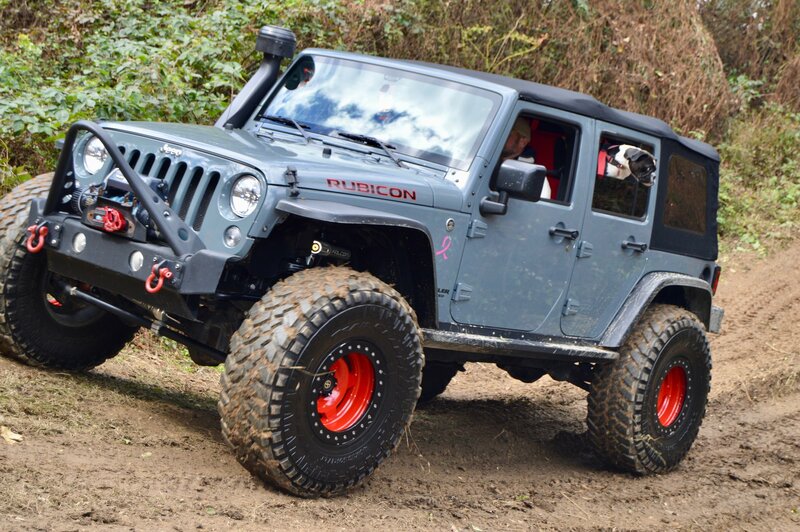 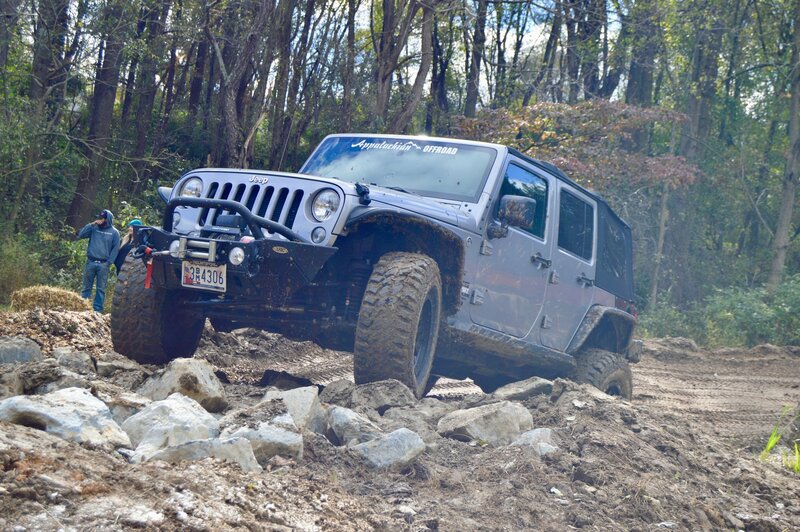 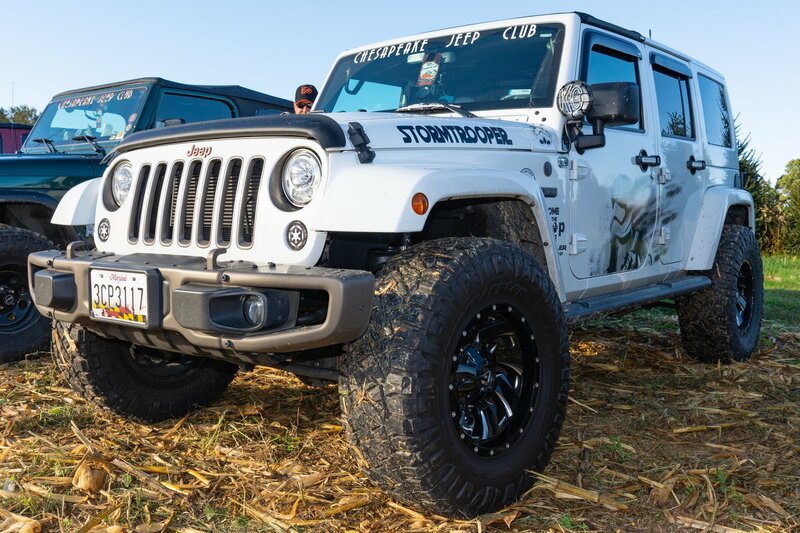 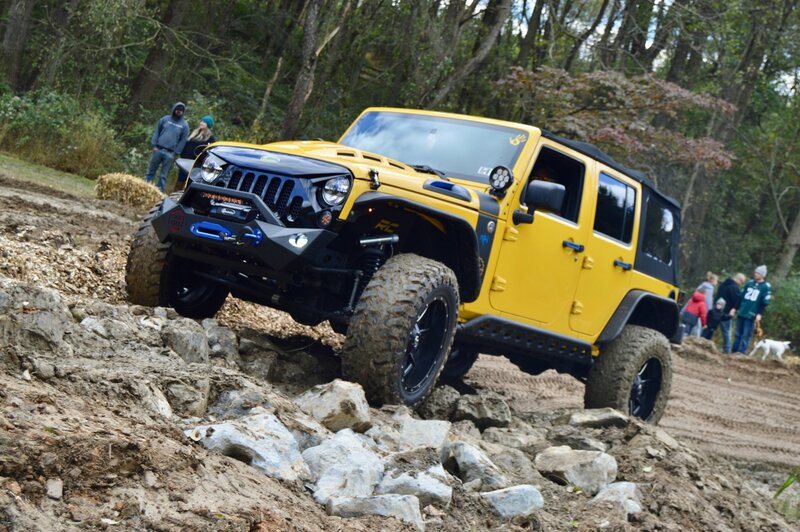 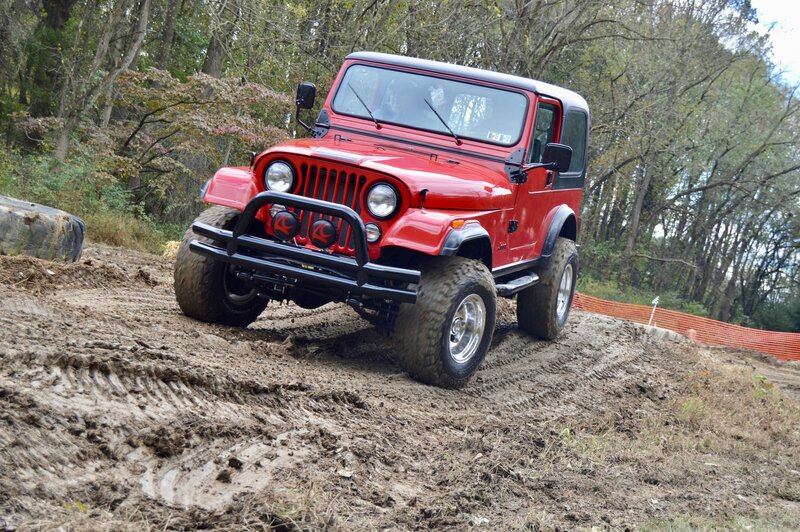 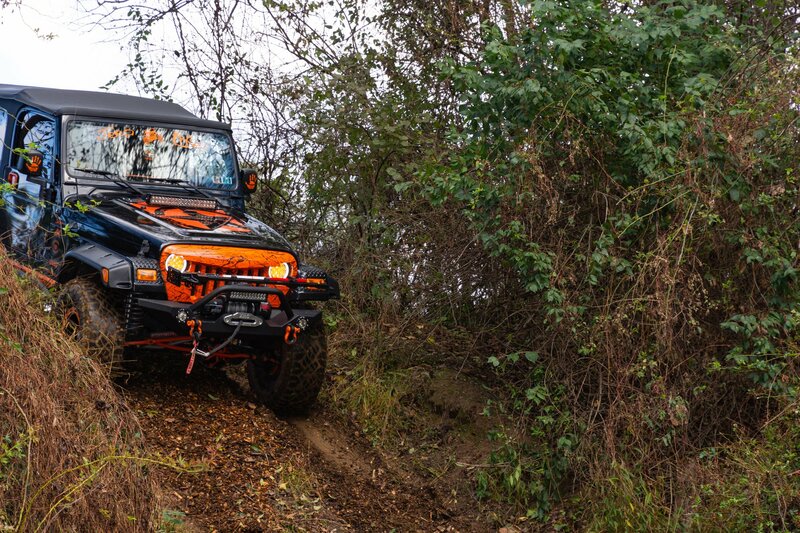 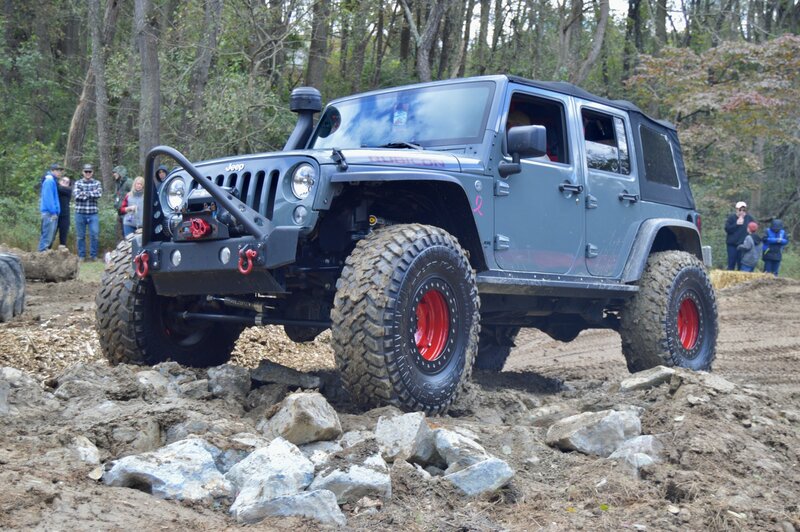 Once again, we saw a full parking area with all kinds of Jeeps — including more and more JL Wranglers — and it seemed like many gave the (muddy) obstacle course a shot as we saw Jeep after Jeep with some mud decorations as the day wore on. 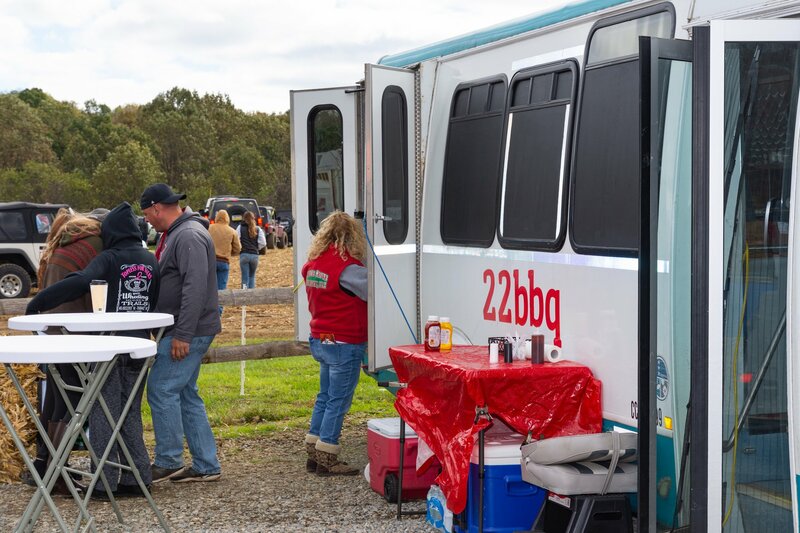 Plus, there was face painting, a petting zoo, moon bounce, food truck and even a fire to relax near when needed. 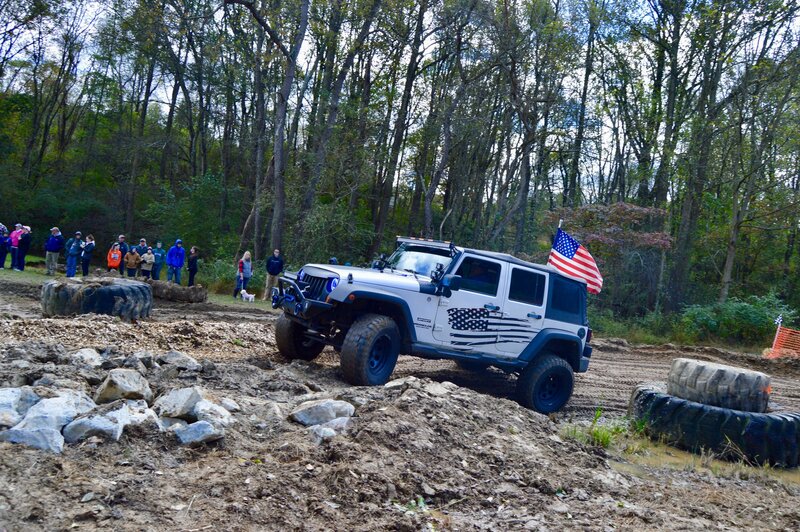 Thanks to everyone who gave up their Sunday to spend some time with us and we hope the mud didn't take too long to clean off the Jeep.